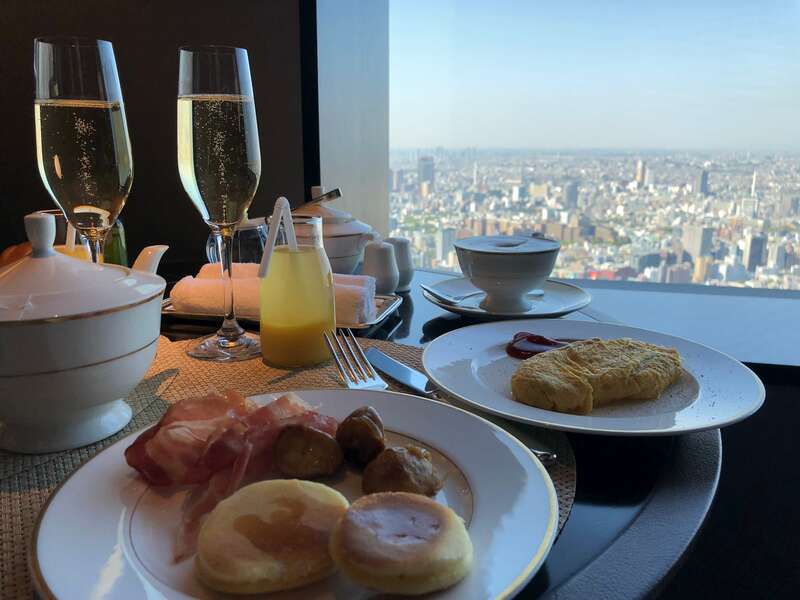 First of all, I had been wanting to stay at The Ritz-Carlton, Tokyo for over one and a half years, so my expectations were extremely high, even higher than because of a “normal” Ritz-Carlton. 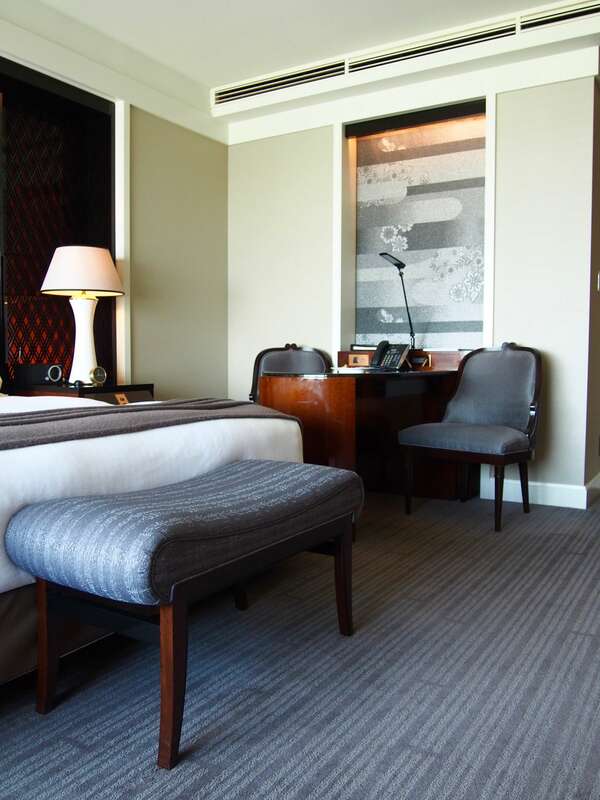 After arriving at the ground floor via taxi, we were whisked to the 45th floor where the actual hotel lobby is situated. We more or less just passed through the floor, because we were staying at the Club Level. This is why we continued straight to the 53rd floor for check-in. 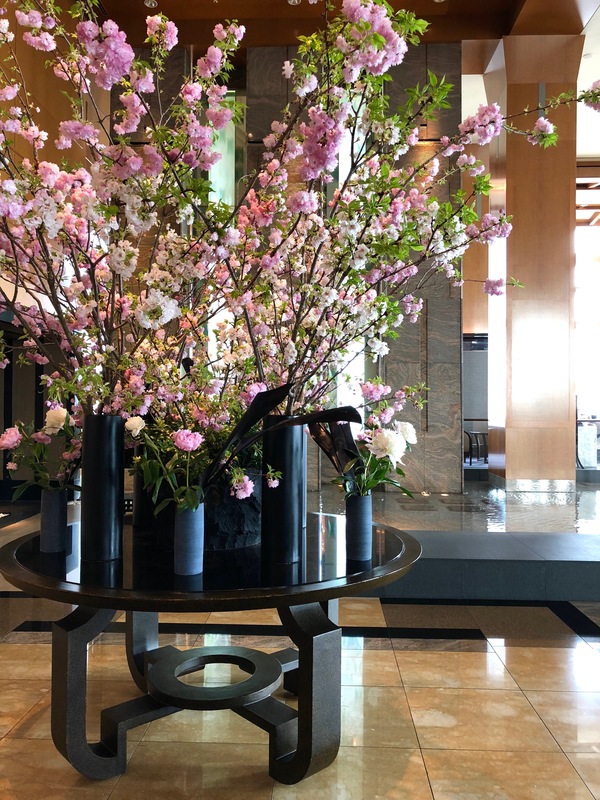 We were greeted by a concierge (or maybe the proper term for her was Guest Experience Expert), who was wearing a beautiful Japanese kimono, which is a really nice touch among the other employees who were wearing suits. She took us to a table, offered us some matcha and some warm towels called oshibori, to refresh ourselves after our journey from Osaka. After we had settled down, our concierge brought us the necessary forms and did the check-in right there, so we didn’t even need to get up and go to the actual counter. Concierge Sugimori-san was such a lively, happy and friendly person that she immediately made us feel like home. 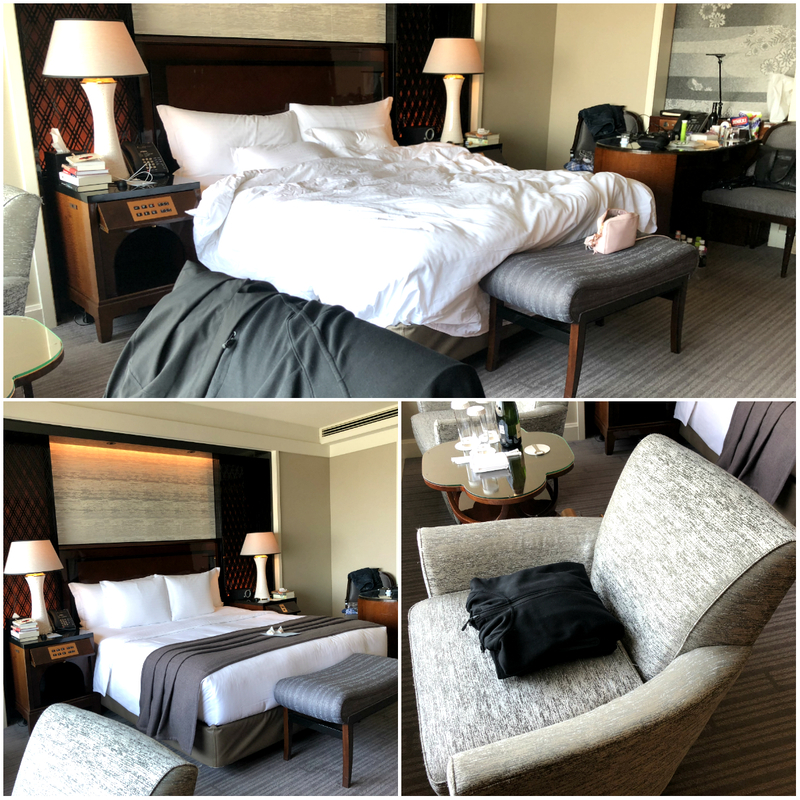 After staying in 4 star business hotels during the first part of our trip, I noticed I was really missing the real luxury experience that only high-end hotels can provide, so arriving at the Ritz-Carlton felt like coming home. After the check-in, it was of course time to go to our room, where our concierge escorted us, so that she could show, how everything works etc. 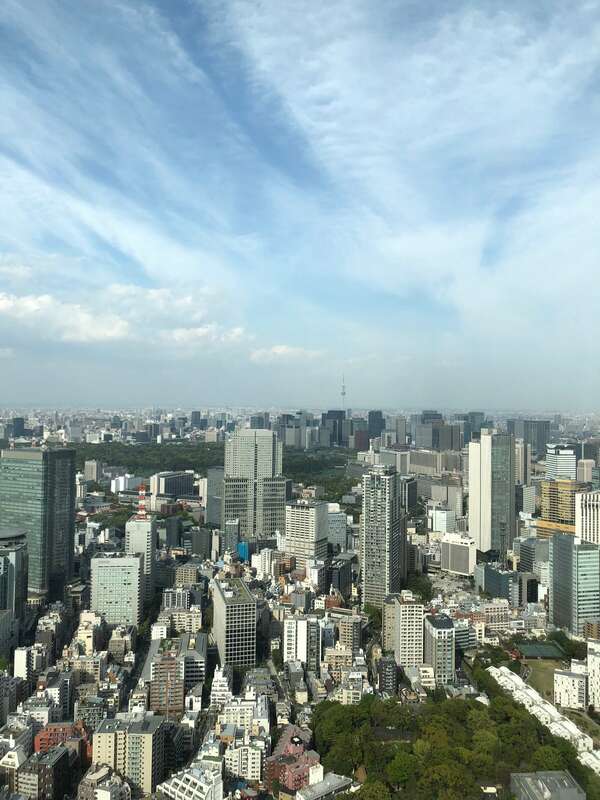 We had booked a Club Deluxe -room and like we had asked, we got it from the highest floor (53rd) with a Tokyo Skytree view. Actually the view selection was a really hard decision for us, because there were such good options. Our first pick was on the Mt. Fuji -side, because that is such an iconic view. However I changed it, because of two reasons. 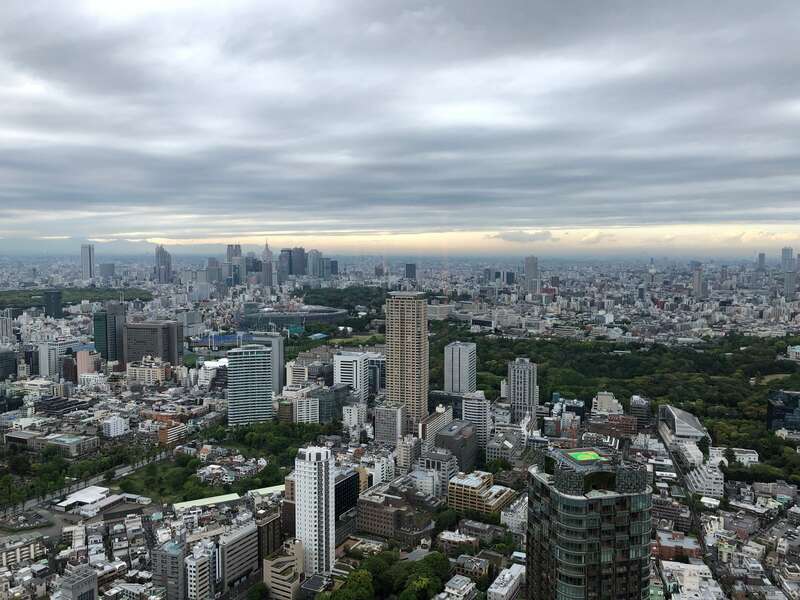 First of all, Tokyo is usually very hazy (not pollution) during Spring, so Mt. Fuji wasn’t visible as often as during Autumn. 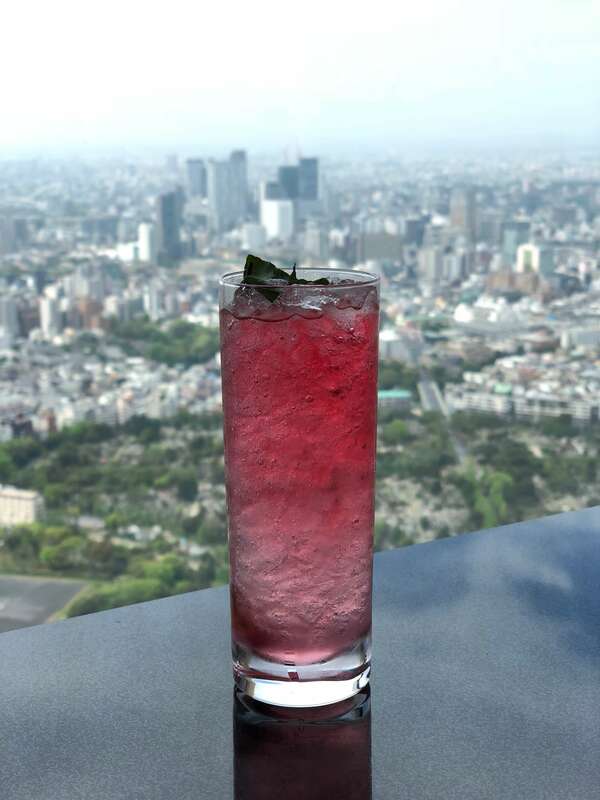 Secondly, because The Ritz-Carlton, Tokyo is the highest building in Tokyo and there aren’t that many skyscrapers on the Mt. Fuji side, the view was more “boring” in a way. It was a certainty that nothing was going to block our view so I preferred to still have other high buildings in sight. This is the reason why I chose the Tokyo Skytree side, because there is so much to see there and the Skytree is always visible with its beautiful colours during nighttime. 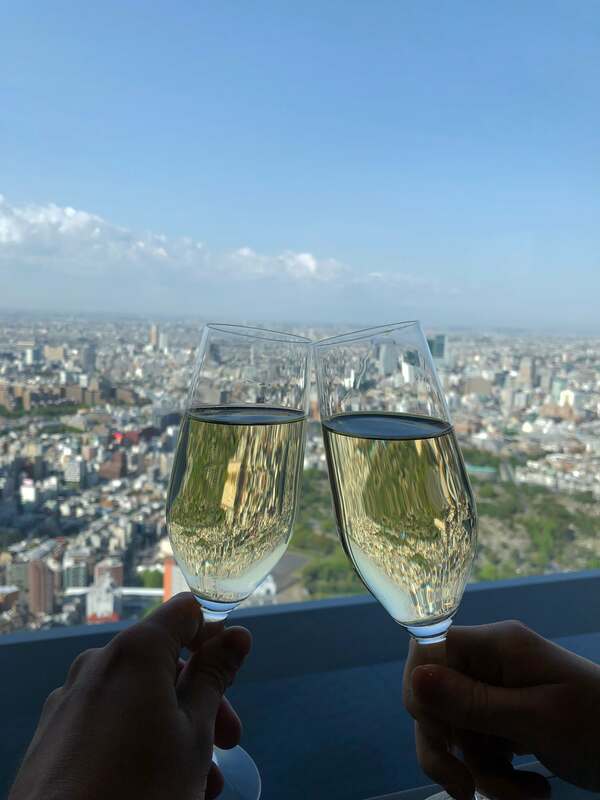 Like I said, we had an unobstructed view of the iconic Tokyo Skytree, which we both simply adore. We even have a picture and a painting of it (made by our Japanese artist friend) on our wall back home. 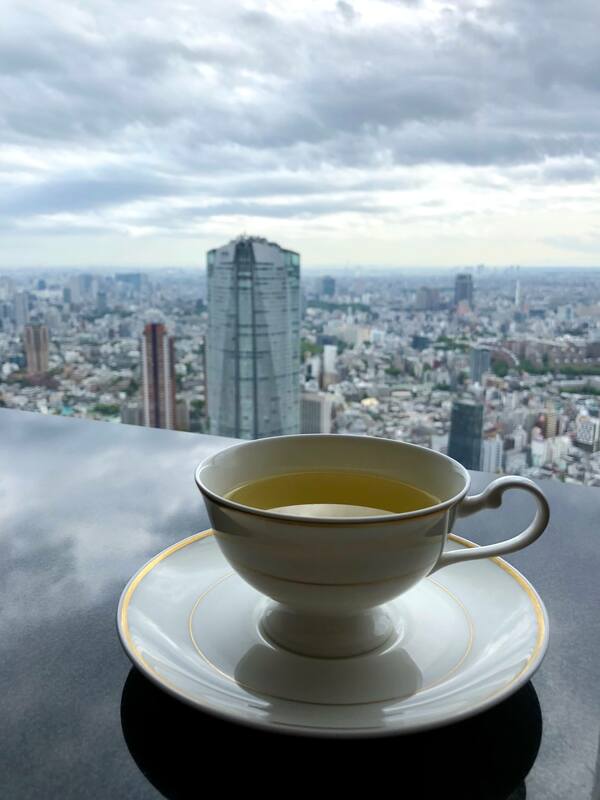 The view also included the grounds of the imperial palace (the view to the actual palace is covered by trees) and Ginza, among others. 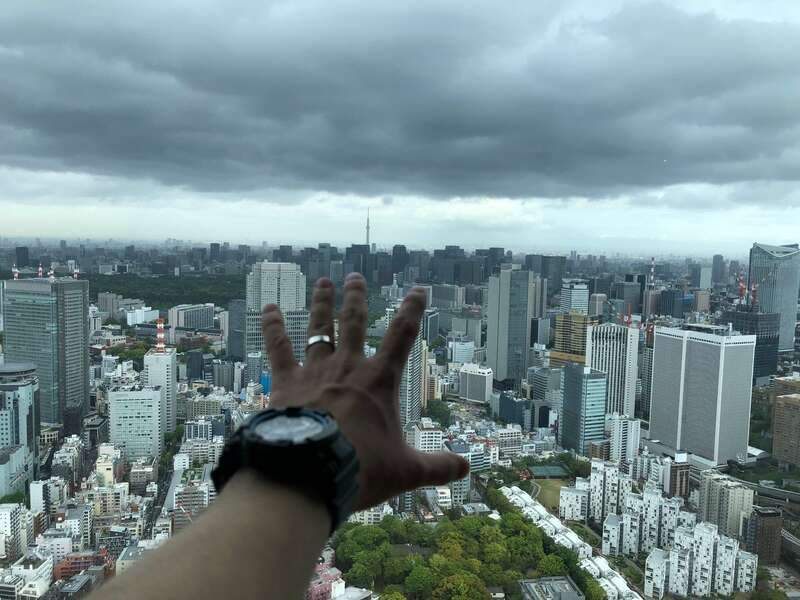 Actually if you leaned against the window and looked right, we could also see the Tokyo Tower, which is really close to the hotel. The room category we had chosen is always at least 52m2, but we got an especially big room, which might have even been 60m2 according to my estimation, because we also visited one more “standard” sized room, which was way smaller (but still big). When you first step into the room’s hallway, the actual room is in front and the bathroom’s double doors are on the right. The hallway was big enough to easily hold our luggage and shoes without them being in the way. One of the most important features of a hotel room is always the bed, because without a proper one, you cannot get a good night’s sleep. 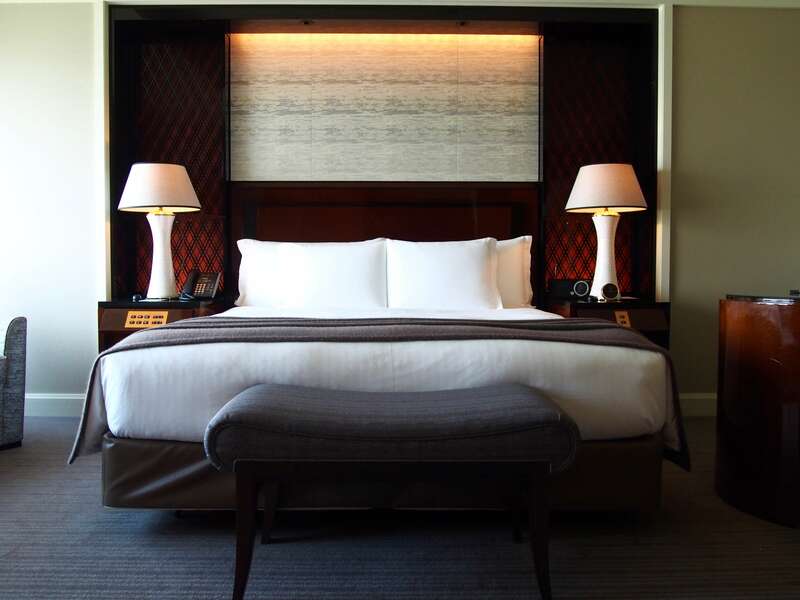 That will not be a problem in The Ritz-Carlton, Tokyo, because the bed is just perfect. It’s big, but not so huge that you have to trek through a bed mountain to get to the other side. It’s firm, but it has a softness to it. Goldilocks would probably choose this one. Falling into this fluffy paradise is just the thing you need after a long day in such a busy city. 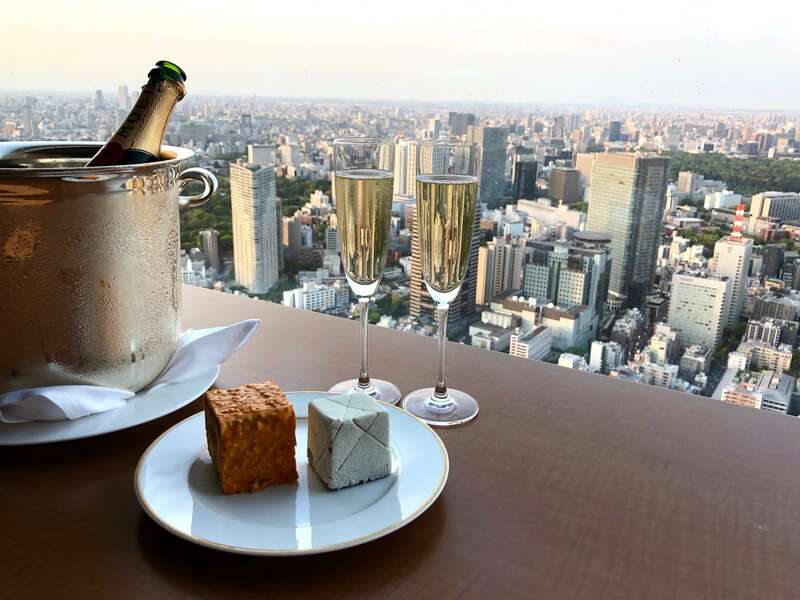 The windowsill was the perfect place to have some champagne and pastries from the hotel’s La Boutique. 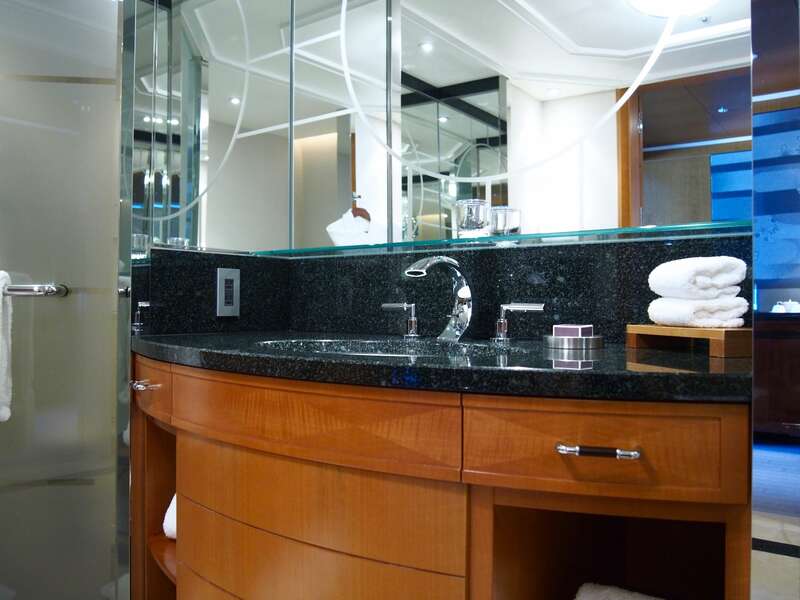 The actual room itself has two large closets with ample storage space and mirrors inside the doors, so you can check how fine you look before you head out to the city. 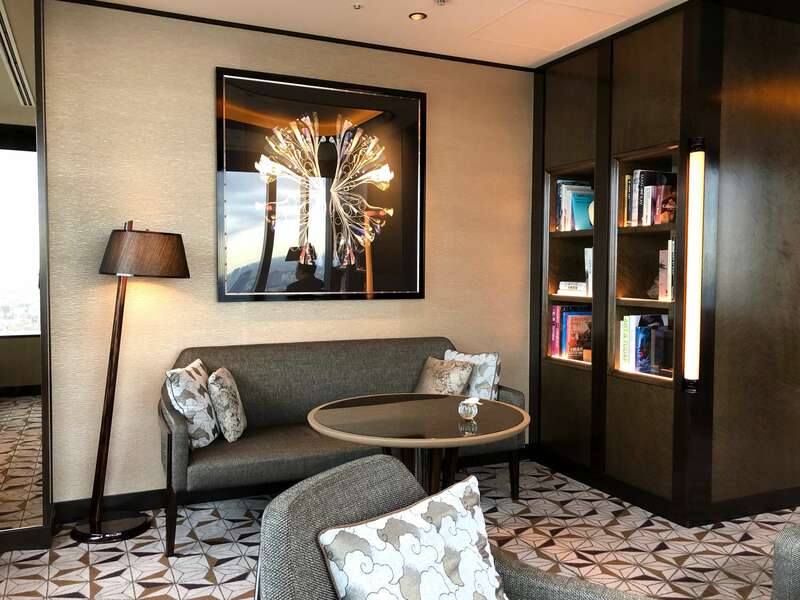 The room safe can be found in one of these closets, but in The Ritz-Carlton, Tokyo it’s located inside a drawer, which hides it from plain sight. This is one of the few hotel rooms where I’ve been to, where we could actually get all of our stuff to fit nicely inside the closets and also get our luggage neatly out of the way, because there was just so much space. The whole hotel and the room itself have an amazing amount of details that most people will never notice nor think about. However they have a lot of meaning behind them. 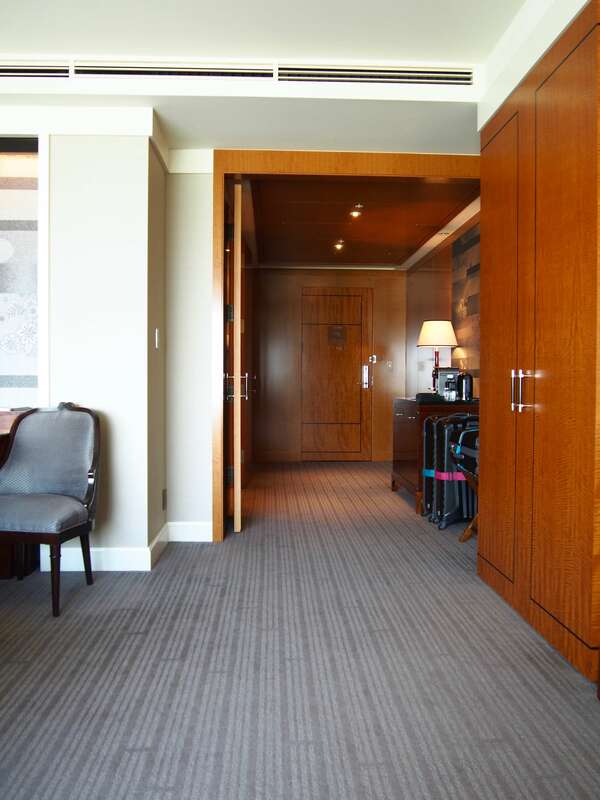 For example the carpet in the room represents an obi, or kimono belt. 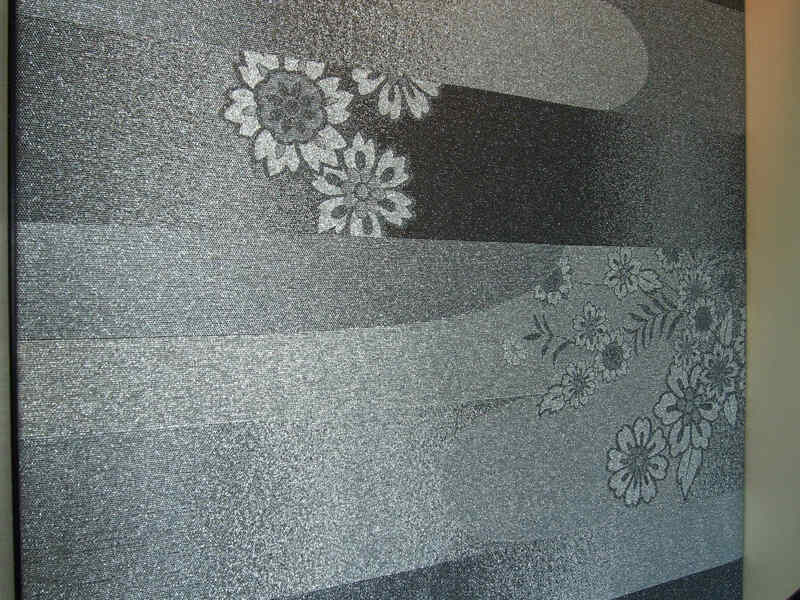 The wallpaper behind the workdesk is called nishijin-ori, is made out of actual kimono fabric. 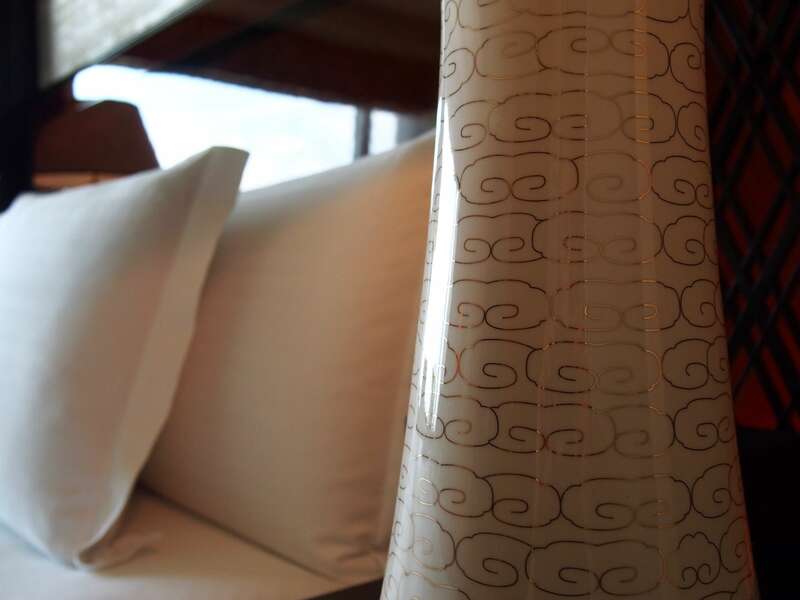 Also the hosage flower pattern is a fictional flower designed for The Ritz-Carlton, Tokyo. They believe that because the hotel is so high up in the clouds, this is a flower that only exists in Heaven. Air-conditioning worked like it was supposed to (meaning you can actually make a difference according to your preferences). But one of the coolest small features of the room is actually the electric curtain controls. I’ve so far only seen these in Ritz’s Okinawan property and I seriously need to get something like this home. It sounds like a small thing, but usually exactly the small details make something luxurious. When you are ready to go to sleep, you just push a button and watch the sheer (a see-through curtain) go down or if you want total darkness like we do, you can push a button to pull down the curtains. The control panel also has a button for “do not disturb” and “clean my room”. Also the lighting of the room can be controlled with it. So convenient! 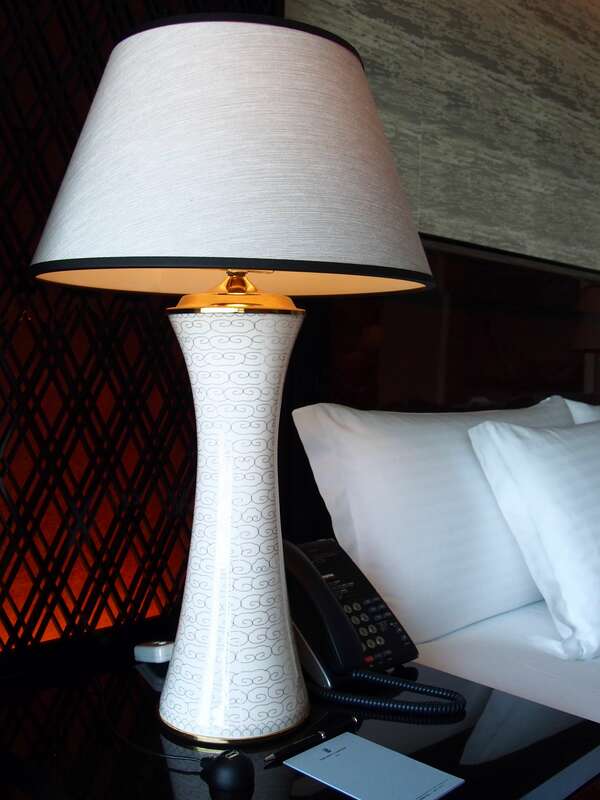 The Heaven-theme can also be seen in the lamps on the nightstands. These patterns represent kumo, or clouds. 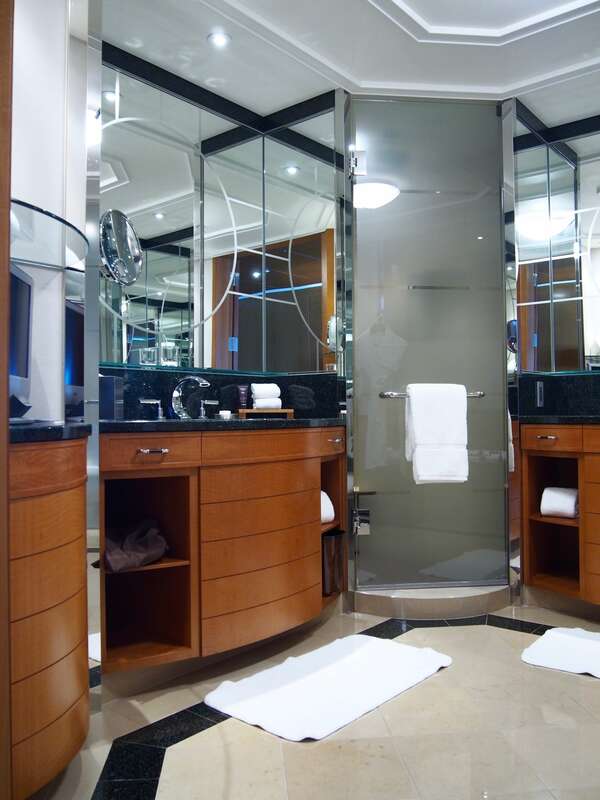 The bathrooms at The Ritz-Carlton, Tokyo are just gorgeous. 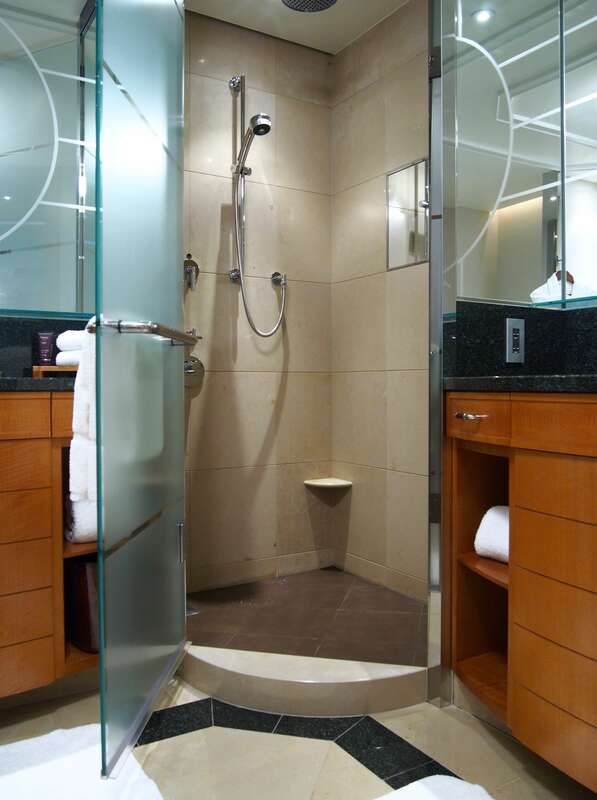 I love the octagonal layout with the bathtub at three o’clock, sinks at 12 and 9 o’clock, toilet at 2 and shower at 11. 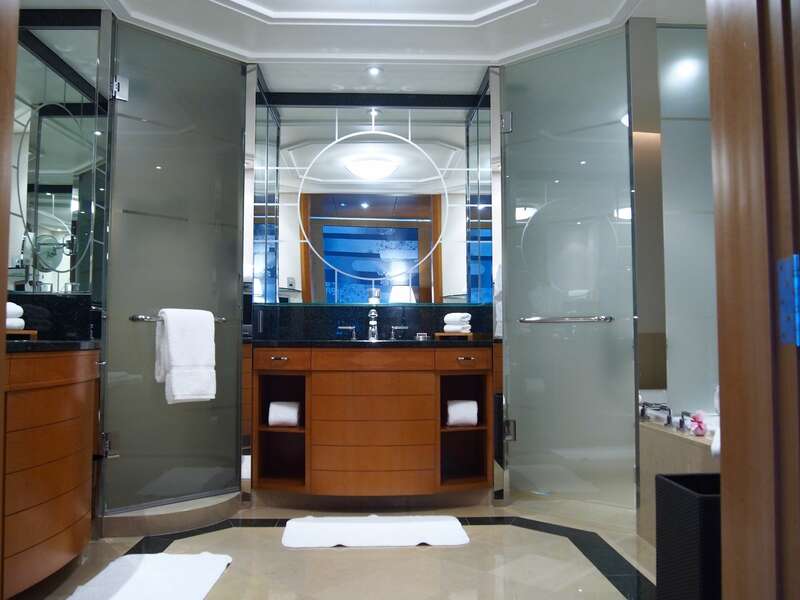 I think the only thing missing from the bathroom was a majestic Ritz-Carlton logo from the floor. 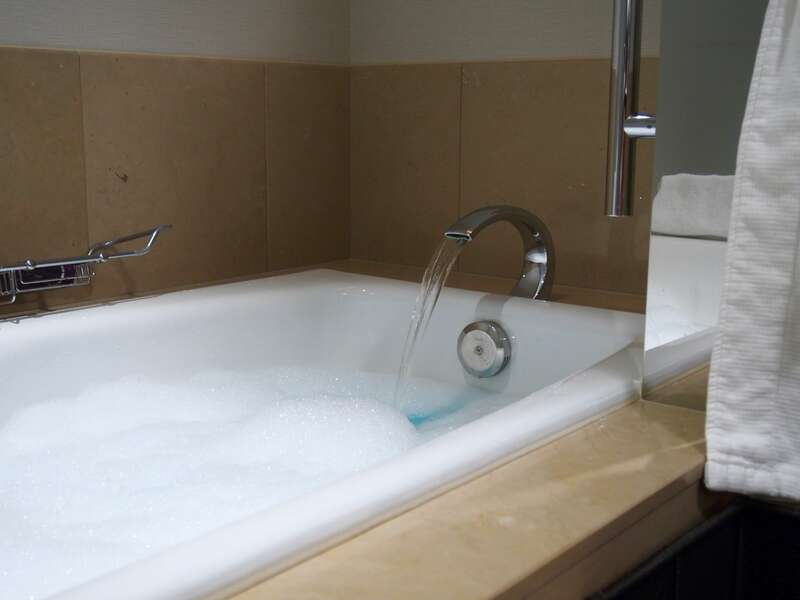 The big tub has a cool arching tap and the actual controls are on the side, so it’s easy to run a bath. Behind a glass door is the toilet, which is of course the futuristic Japanese type that I like very much. 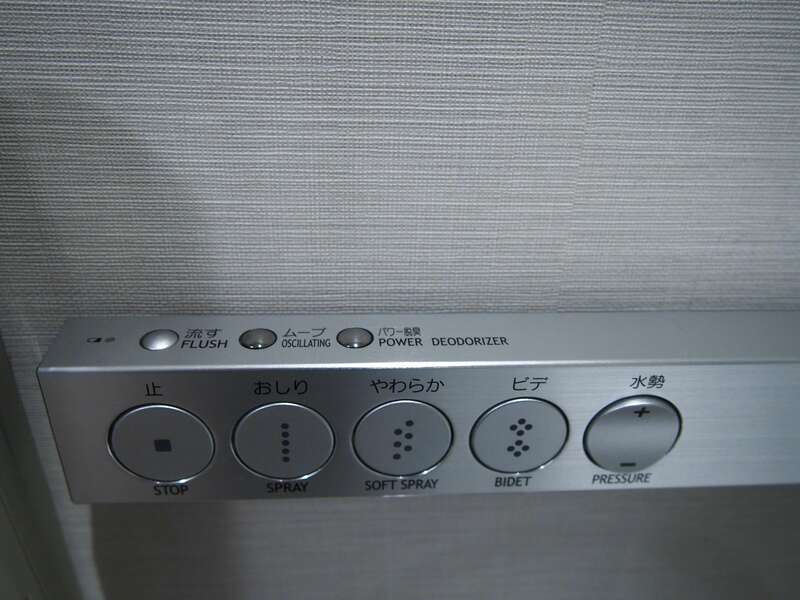 Somehow it’s always hard to adjust to normal toilets after returning home, because I’ve gotten used to the heated seat and self-flushing toilet. My one real minus about the bathroom was the fact that the toilet’s glass door wasn’t completely opaque, because it had clear stripes going here and there. It would be better for privacy, if you couldn’t see through it. 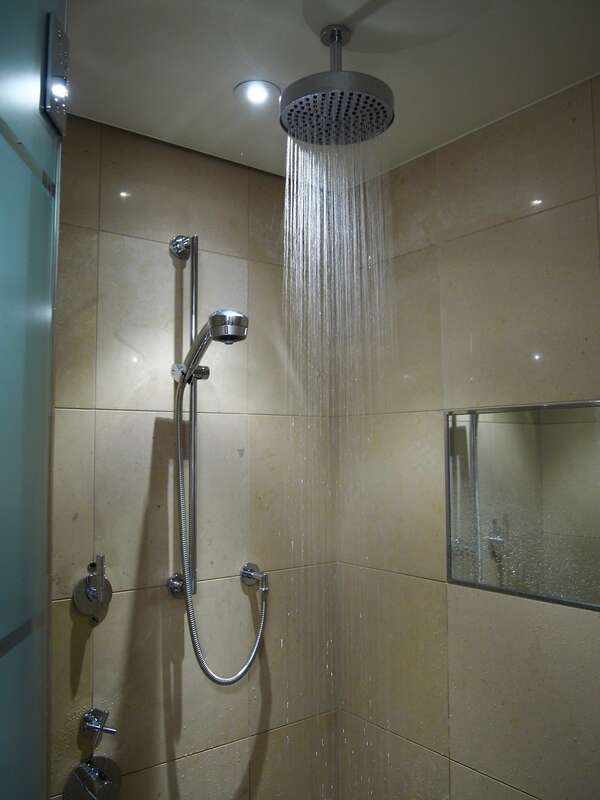 The shower is also behind a glass door which is a great thing, because the water doesn’t spray all over the place. Water pressure from the handheld shower and rain shower were good, as can be expected. I especially liked the fact that the bathroom has two sinks that aren’t next to each other, because this makes all kinds of preparations so much easier as a couple. This was the first time I could easily lay out all of my toiletries on the shelf and table, which just helps the hotel room feel more like home. 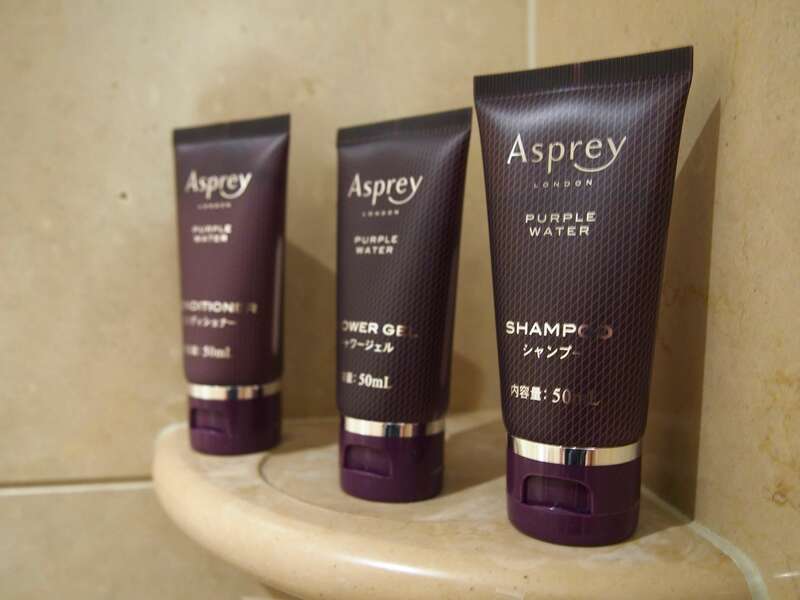 The Ritz-Carlton, Tokyo uses luxurious Asprey toiletries, which always remind me of our honeymoon at The Ritz-Carlton, Okinawa. 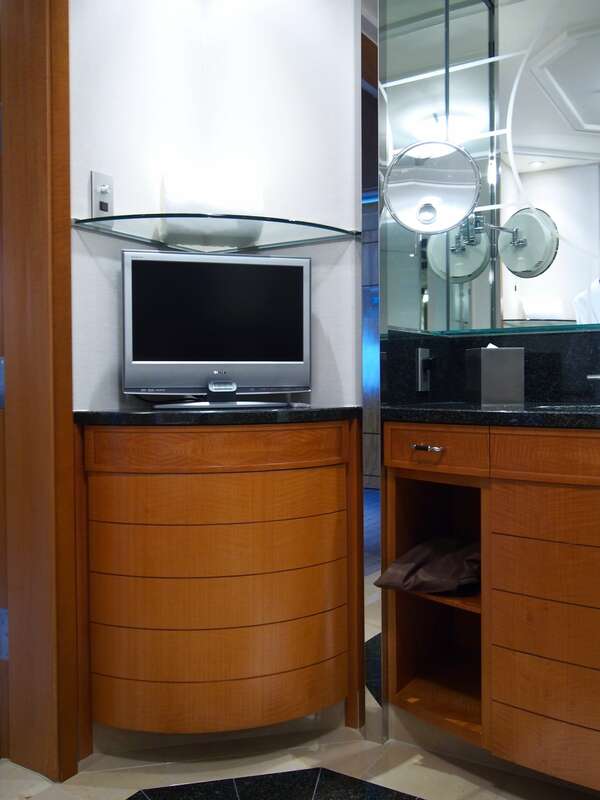 The bathroom also has a TV in one corner, but we never used it. 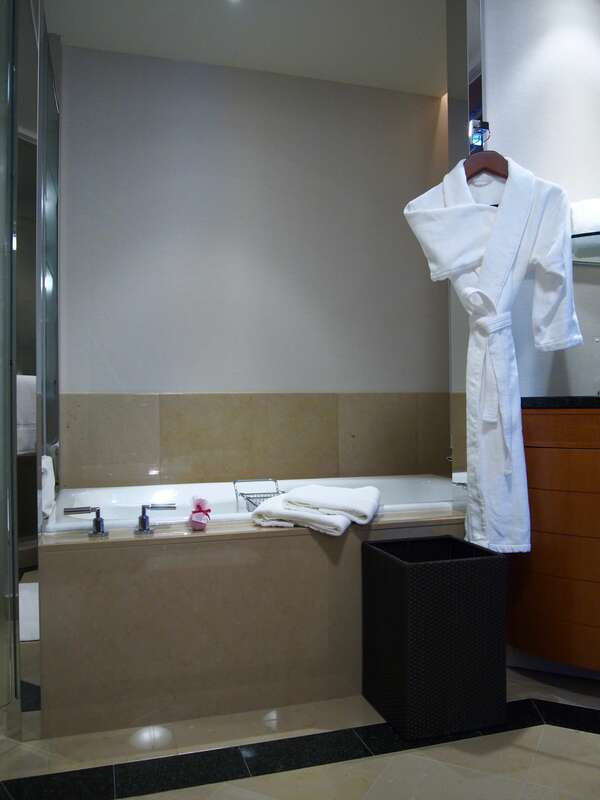 The towels were of course plush and luxurious, which is a must at a high end hotel like this. I also liked the fact that I could get my feet to fit inside the slippers, which isn’t a given, because normally they are just too small for me. All of the amenities can be found inside a drawer from below both of the sinks, which is a neat way of putting them out – rather than just having them on the table gathering dust and taking space. 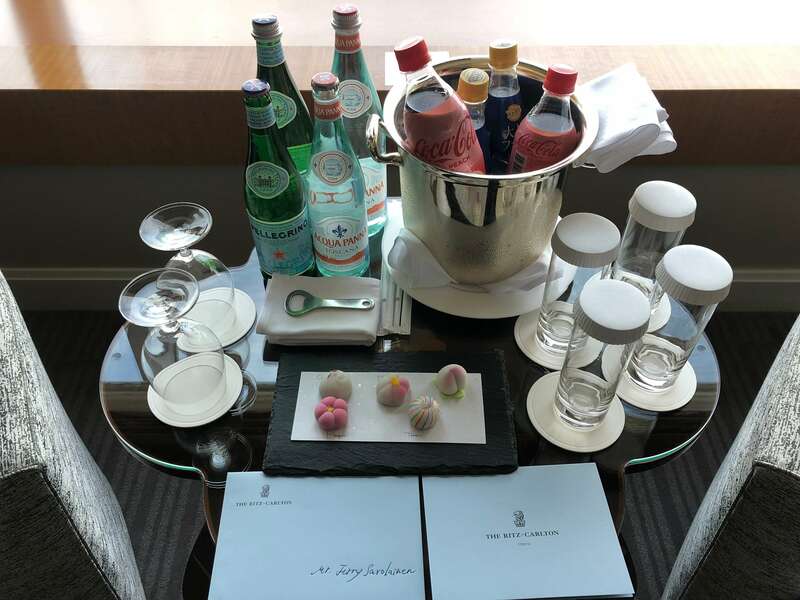 A hotel review about any Ritz-Carlton wouldn’t be complete without a proper look at the service the Ladies and Gentlemen (which they are called) provide at the property. Overall the service was absolutely wonderful, but there was however room for improvement in one area. It was apparent that the level of service goes up when you physically ascend up the building. Let me explain. The main entrance to the hotel is on the ground floor, where all of the cars, taxis and buses arrive. First there is a small manned desk outside, then you walk through normal doors that you have to pull open, then you go through sliding doors, there is another manned desk and then you get to the elevators that take you up to the 45th floor, where the actual check-in counter is. Well, the service on the ground floor was really a hit or miss. And just FYI we are always very polite to each and every staff member in all the hotels (and other establishments) we visit, because that is just good manners. Usually the staff smiled, opened doors and greeted us when we arrived or departed from the hotel, but there were also too many times when we had to greet first to get noticed and sometimes the person manning the desk outside didn’t even raise his eyes from his desk to greet us. I know this can sound like such a petty thing to say, but if you are a customer of a luxury hotel and you walk right past a staff member ready to greet them, but they don’t even look at you, that is a problem. Also when we left the hotel very early in the morning with a Rolls-Royce we had asked the hotel to arrange to take us to the airport (more on this in another post), the first staff member we encountered clearly didn’t think it was for us. I think this might have been the fact that we were young people wearing normal clothes (and not some businessmen), but at a hotel like this you shouldn’t judge a book by its cover. Now that the slightly negative side has been gotten out of the way, it’s time to concentrate on the positive, because there was a lot of that. First of all, don’t underestimate the feeling you get when the staff greets you by name. From the moment we arrived on the first floor with a taxi, we were immediately recognized as individuals and not just some customers. I don’t know how they do it, but they just know who you are even if you’ve never met them. I’ve had this in some hotels, but still I get the feeling of being a VIP when this happens. And it feels good. 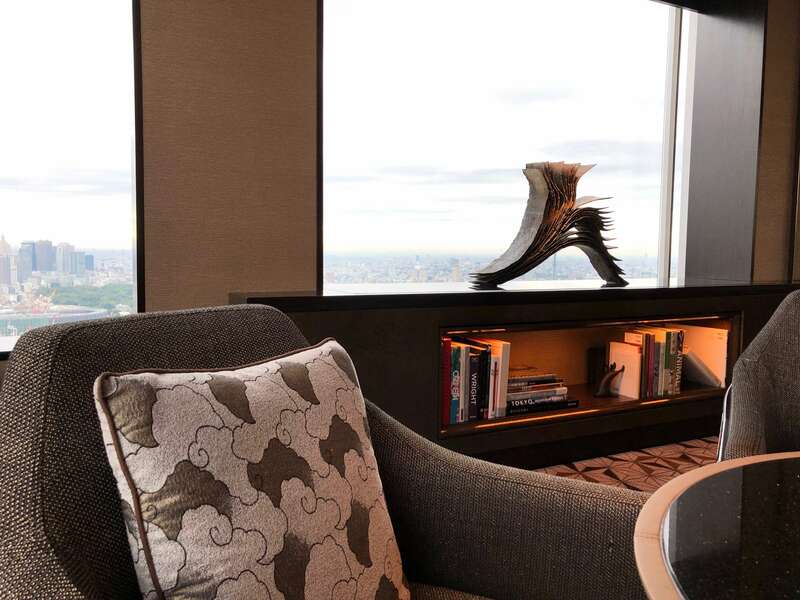 When you ascend to the 45th floor, the service gets even better. 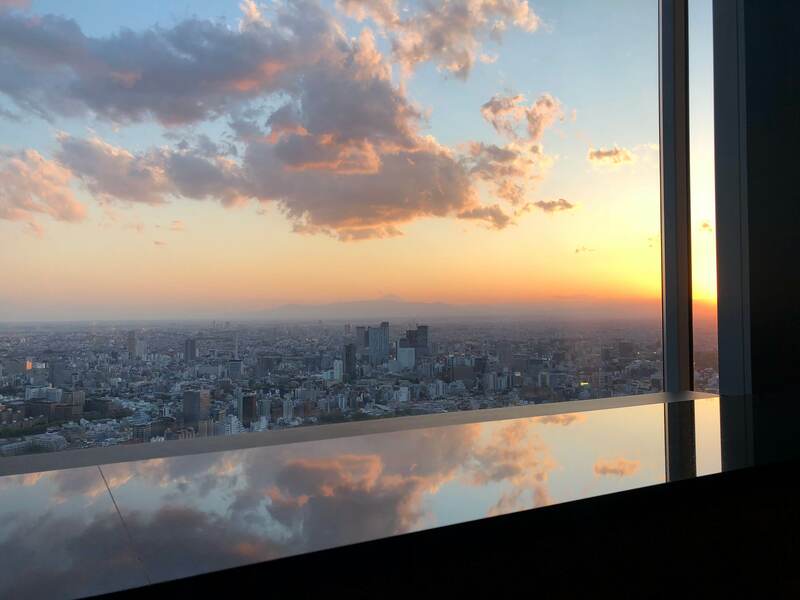 Everybody is smiling, bowing and also hurrying to come and order the elevator for you (when going to the upper floors, you need to take another elevator, that is different from the one you take from downstairs to the 45th floor). Ssmall gesturer like the staff member who bow deeply until the elevator doors close, make you feel so welcome and appreciated. 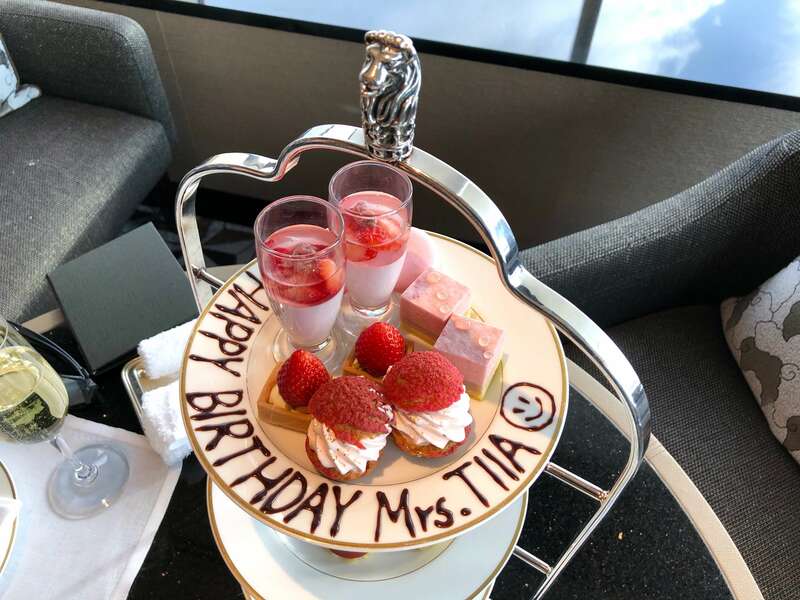 But when you get to the 53rd floor, which is the highest floor of the whole building and also has the Club Lounge, you are introduced to the ultimate level of hospitality. However I will write more about this in the Club Lounge section of this post. 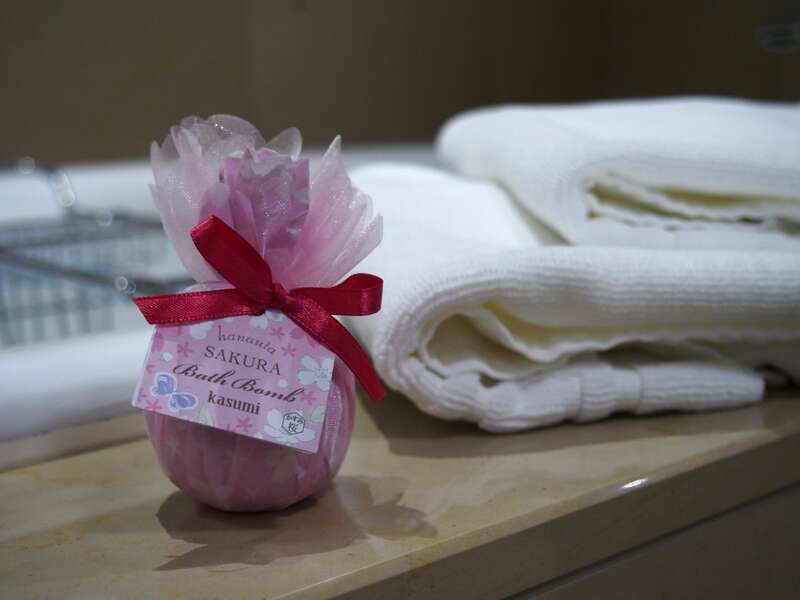 The small details and service doesn’t stop at your room’s door. 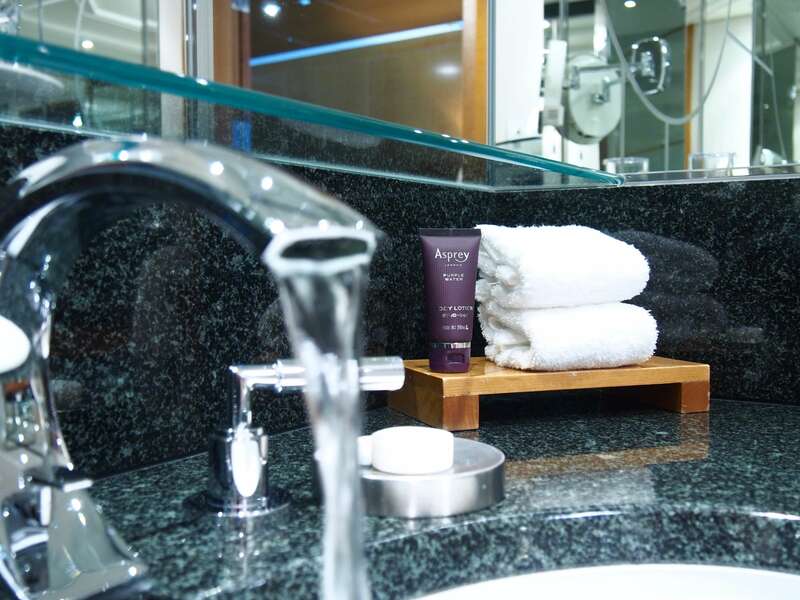 We noticed early on that on top of the fact that the room was immaculately clean each time the cleaners had visited it, that they went above and beyond to make sure everything is perfect. You know when you recharge your laptop or phone and then leave the charger carelessly on the table, nightstand or bed? Well in The Ritz-Carlton, Tokyo that charger cord has been coiled neatly when you return to your room. I mean who does that? When I noticed this, I wanted to do a few experiments to see what they really do. I left out a few chargers, I left the books on my nightstand crooked and a couple of shirts just crumpled on the armchair. When we came back, the chargers had been coiled up, my books had been straightened out and our clothes folded. They even left out scented Japanese bookmarks for my books, because I didn’t have any! Seriously? I was just blown away by small gestures like these. They even folded up my clothes! After the first day my toiletry bag had been placed on top of a towel (it was next to the sink), so it wouldn’t get wet and all of my toiletries on the glass shelf had been arranged neatly. 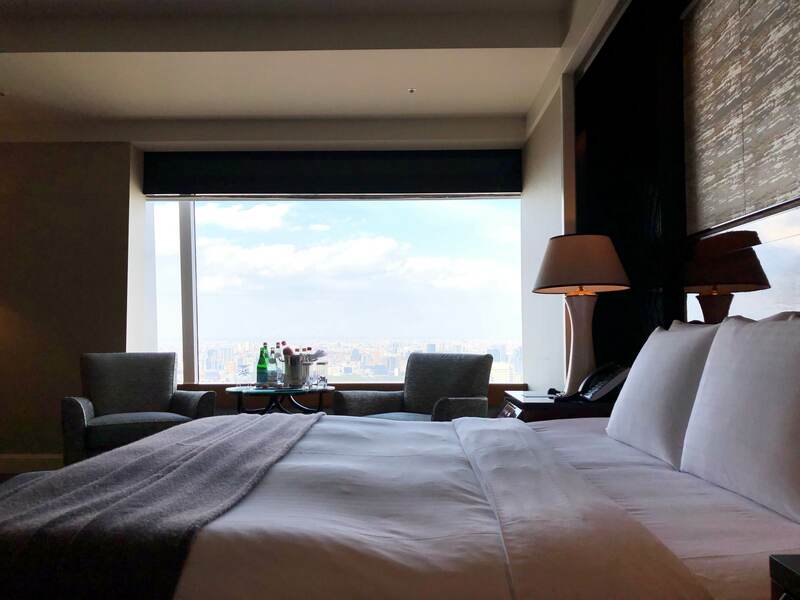 Of course The Ritz-Carlton, Tokyo also has the usual turn-down service, where the room is freshened up, small mats have been placed in front of the tub, shower and also next to both sides of the bed in addition to the slippers being laid out for you. 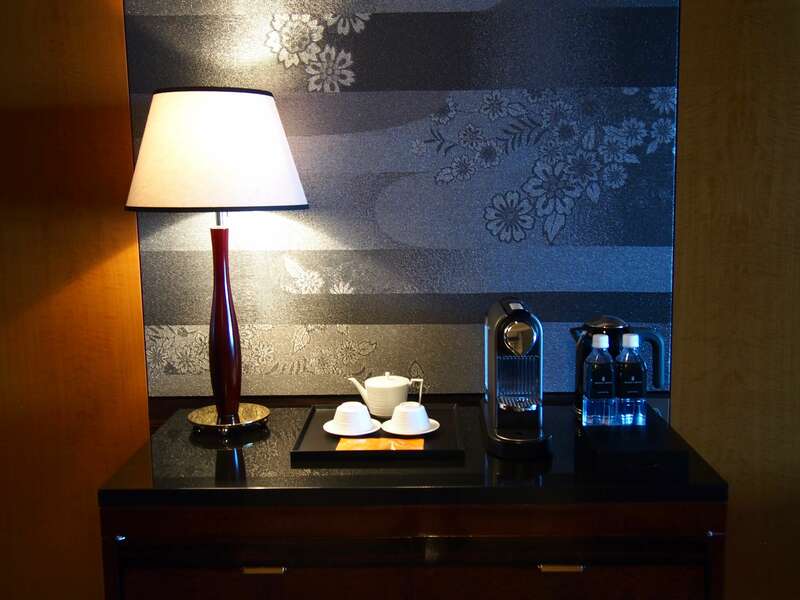 A few chocolates and water bottles appear on the night stands and the lights are dimmed down, so that the room is ready for sleeping. 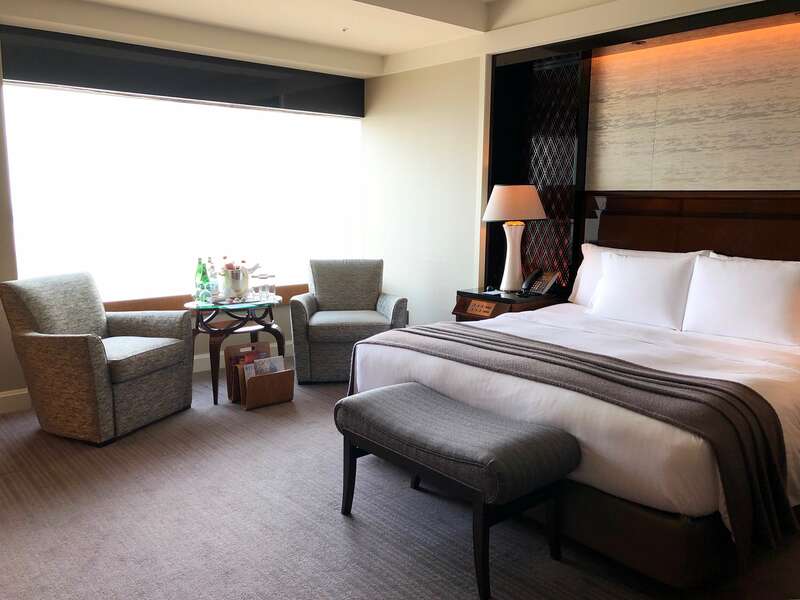 I don’t know if you’ve heard about the “Ritz-Carlton 2 000 dollar rule” (it is more of a guideline), but if you haven’t you can read more about it on my review of The Ritz-Carlton, Okinawa here. 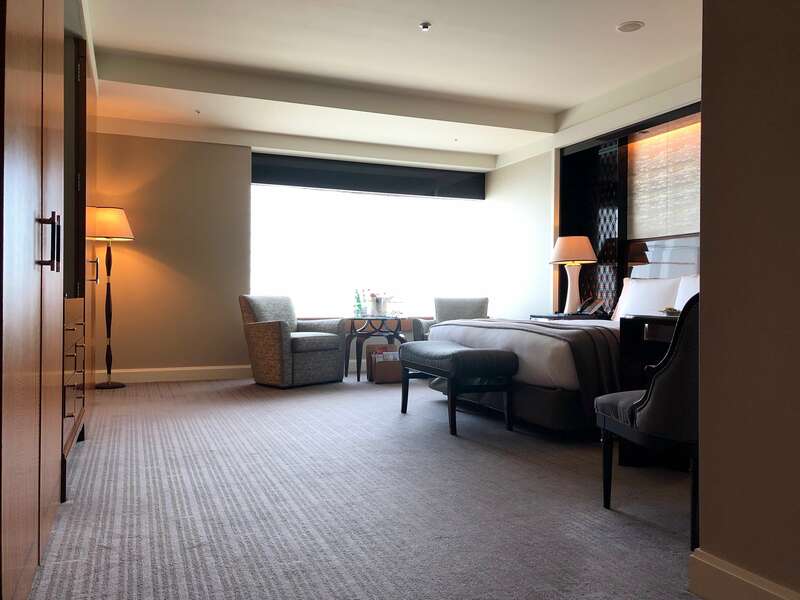 When I visit a hotel as a collaboration, I want to get to know the property as well as possible, so I sometimes experiment with stuff (like the cleanliness of the room etc.). This time I decided to ask them to do something special for me. 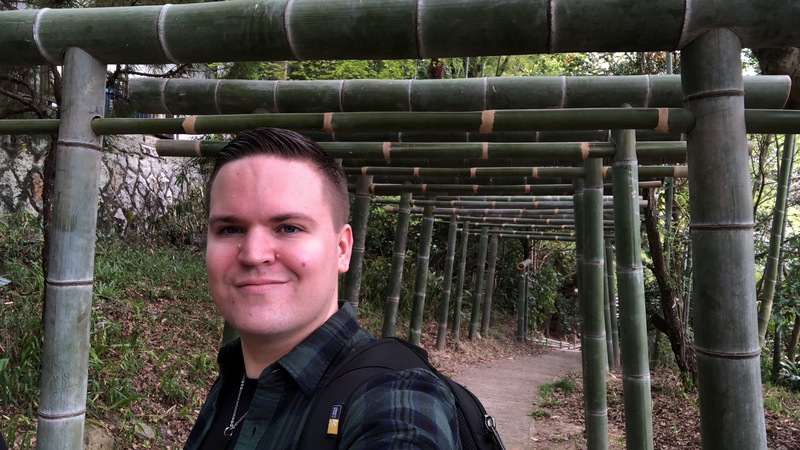 I love to drink soda, especially the limited edition sodas they have in Japan, so I sent them an email about a Spring edition Peach Coca-Cola. I didn’t know if it would be available anymore, when we got to Japan, so I asked the hotel, if they could provide us with two bottles of it, so that they are ready when we arrive. Usually asking a hotel something like this might be a bit silly and I could also be expecting a hefty bill for such a small thing, but I “took the risk”. I quickly got a very professional response saying that of course they will do what they can. They didn’t mention anything about any costs, so I assumed it would either be free or I would just have to be prepared to pay a hundred euros for two bottles of Coke, if need be. 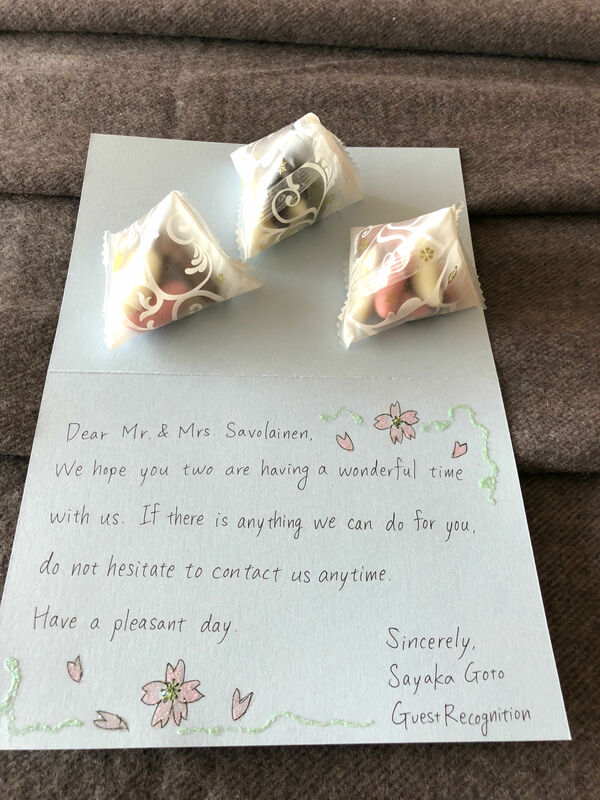 When we arrived in our hotel room, they had laid out bottles of water, some cute Japanese mochi-sweets and two bottles of the Peach Coca-Cola plus two bottles of some kind of Premium Peach Fanta we didn’t see anywhere during our whole trip. And of course there was a sweet note from the person who had acquired all of them for us (thank you, Aoi-san!). It was such a nice welcome, that immediately showed me how they treat their customers – with warmth and heart. And FYI, as I had assumed, I didn’t pay a cent for these. It wasn’t a big or expensive request, but still someone had to take time out of their workday to go to a store or multiple stores to find these products for us. For me it meant a lot. When I’m choosing a hotel, I’m almost certain it will be a great experience, because I have my own system to weed out the bad properties. So when going to a five star hotel I’ve chosen, I know we are going to have a good time. 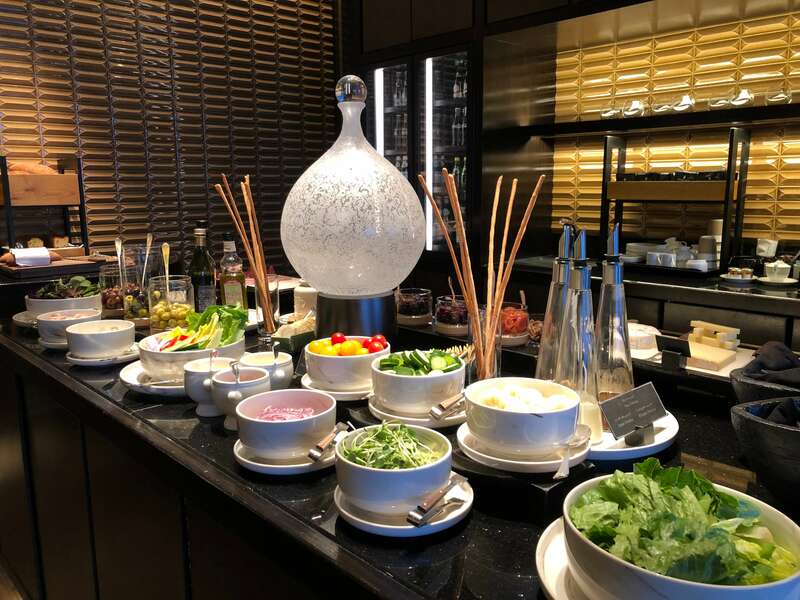 But whenever there is a possibility of taking it up a notch and staying in a hotel, that provides an exclusive Club Level, I will always choose that over other possibilities. 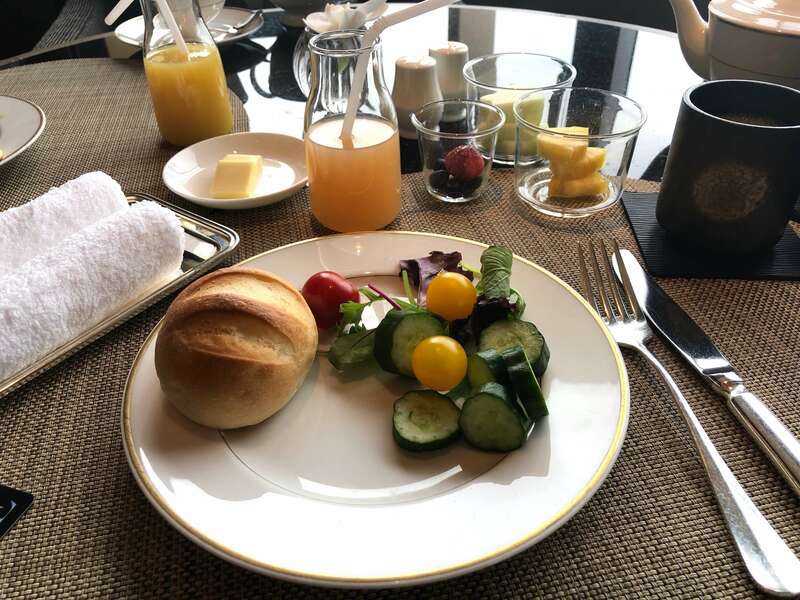 We had stayed at The Ritz-Carlton, Okinawa –property 1,5 years before this trip, so I knew Ritz-Carltons are amazing hotels. However in Okinawa there wasn’t a possibility of a Club Level, because the hotel itself is smaller and more intimate. 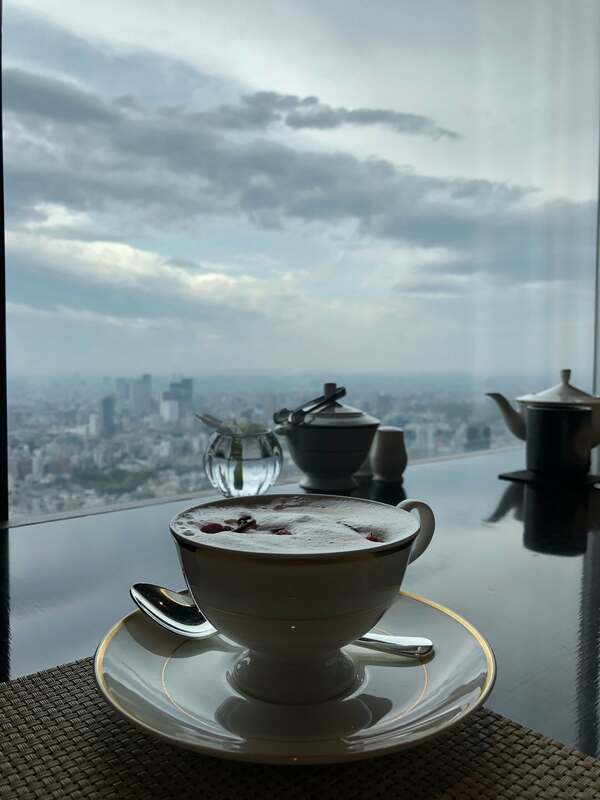 So when I knew I would be able to experience the Club Level in The Ritz-Carlton, Tokyo, I was ecstatic. The Club Level inside a Ritz-Carlton is called “a hotel within a hotel”, which is the perfect way to describe it. And at the heart of this “exclusive hotel” is the Club Lounge. We got our room from the 53rd floor, which of course had beautiful views, but it also had the Club Lounge on the same level, so it was convenient to just walk there without taking any elevators. 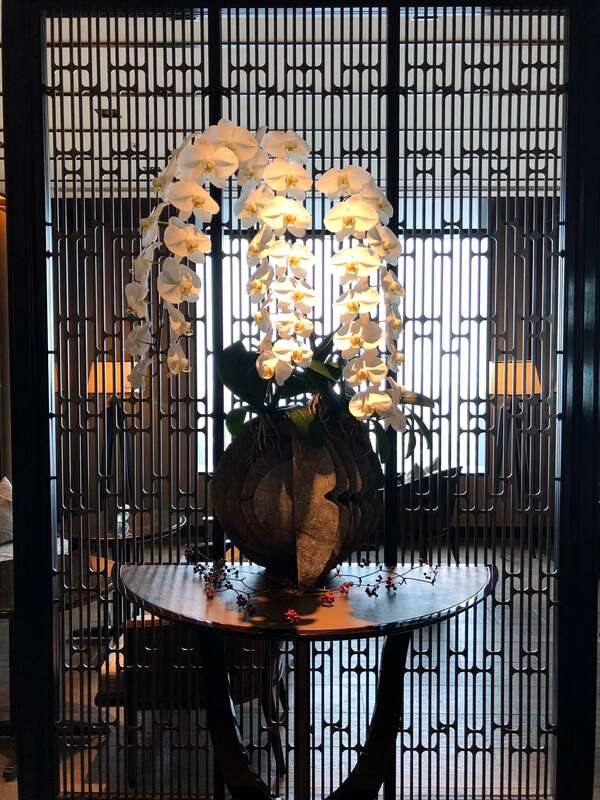 When you walk into the Club Lounge, you are greeted by the professional staff at the check-in counter, but often also by “Guest Experience Experts” clad in beautiful kimonos. Their job is to make sure the guests enjoy their stay as much as possible by helping them make reservations, telling them about the surrounding area and fulfilling even the unspoken wishes you might have not thought of. It was such a huge pleasure to come to the Club Lounge when we were always greeted by smiles and excellent service. I seriously got the best service here that I’ve ever experienced anywhere. I especially want to thank Sugimori-san and Fukushima-san for their hospitality and making us feel so welcome each day. 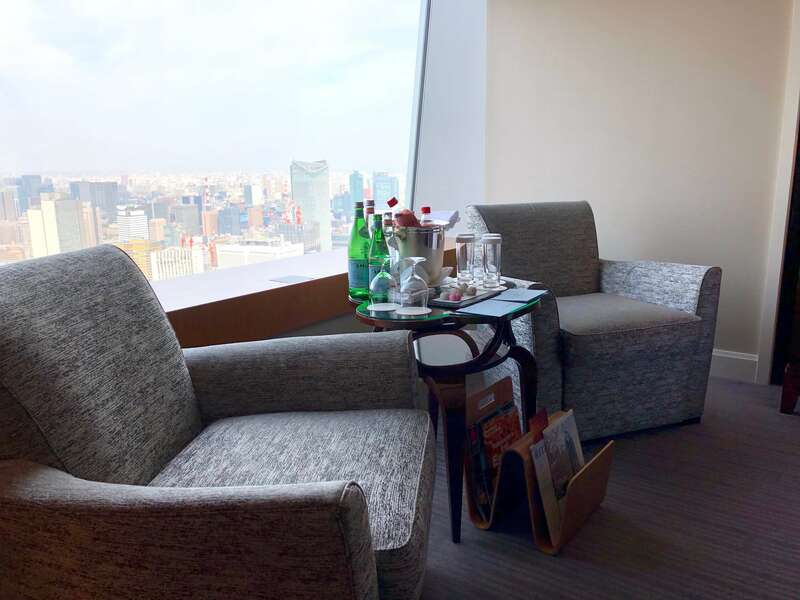 Just to give you an idea of how they operate in the Lounge, the picture above is the package I got when I asked Fukushima-san for a couple of recommendations for a tea store and jazz club, for example. 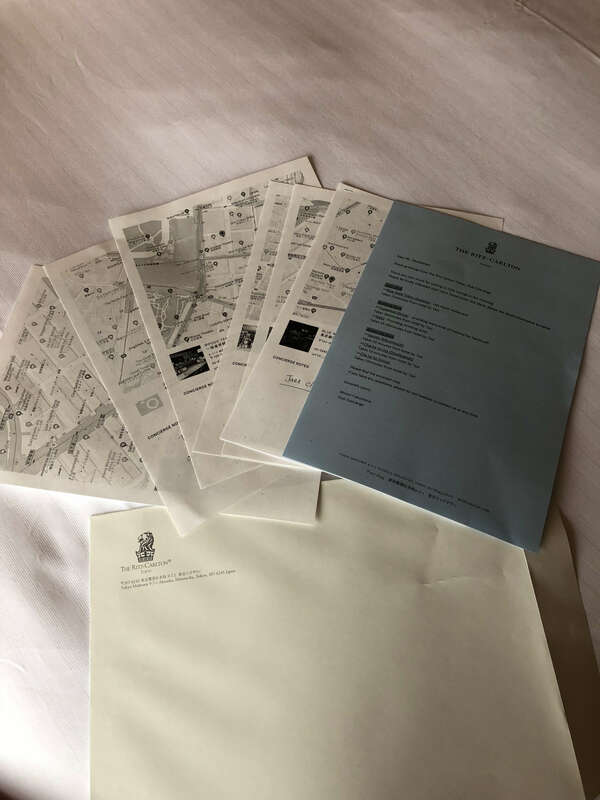 I got printed out maps, instructions written in Japanese, so that I can give them to a taxi driver and opening times etc. We visited several of the recommended shops and found just what we were looking for, so the information is really solid – they know what they’re doing. The Lounge is one big space, but it has still been separated into areas like the intimate library and the more open general area. The views are of course incredible thanks to the huge windows that fill the walls. If you wanted, you could just eat here for the whole day without going to a restaurant, because they actually offer five different food settings throughout the day, starting with a delicious breakfast. 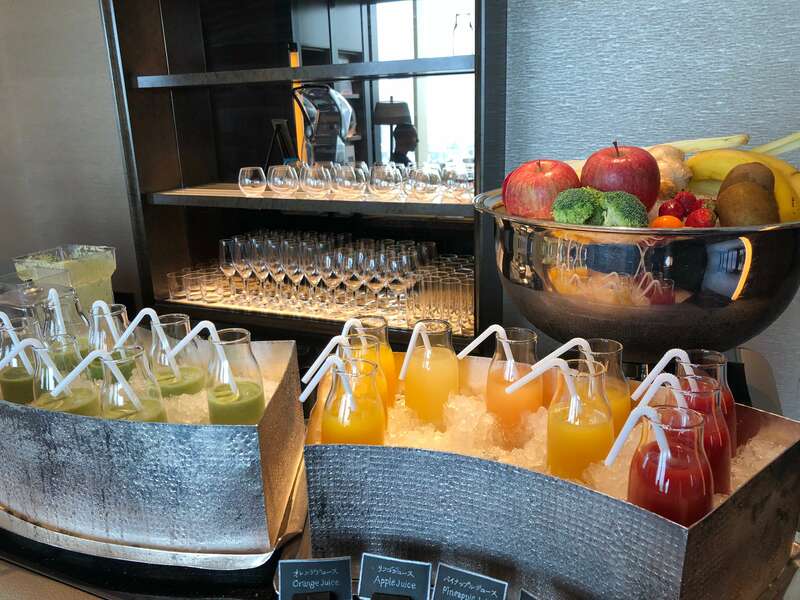 It was said that the breakfast on offer at the Lounge isn’t as big as the one in the main restaurant on the 45th floor, but I have to say I liked the one in the lounge a lot more. I had everything I needed and then some. I particularly liked the delicious omelettes the wonderful Kanae-san made almost every morning during our stay. 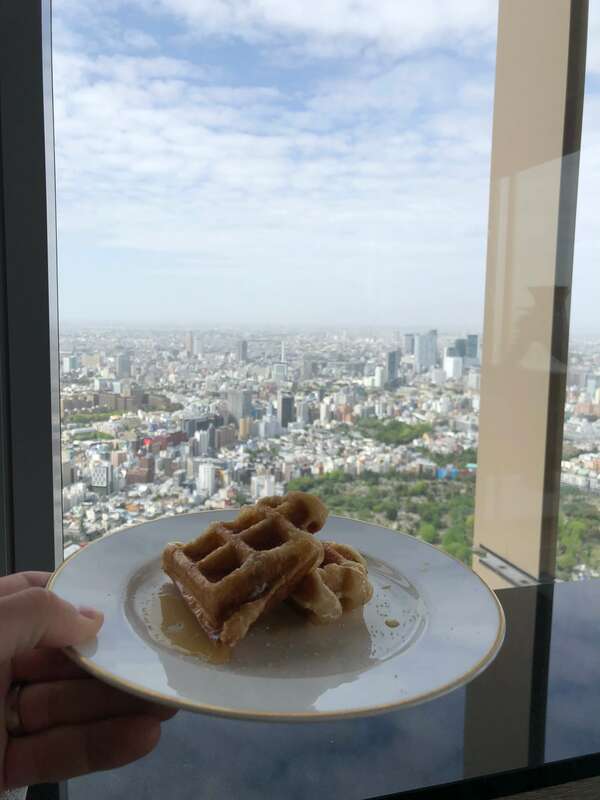 In addition to different egg dishes, Kanae-san also made the best waffles I’ve tried anywhere! They were so fluffy and tasty I had to eat them each morning even when I was already full. I just couldn’t pass on them. 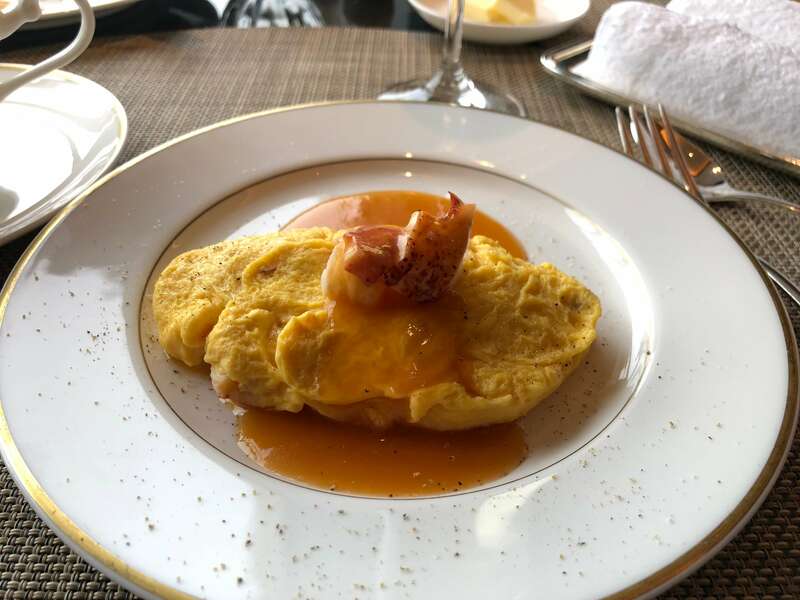 Also on Saturdays you can have lobster omelettes! I mean come on! Lobster for breakfast? Sign me up! Everything at breakfast was top notch, so I have no grievances here. 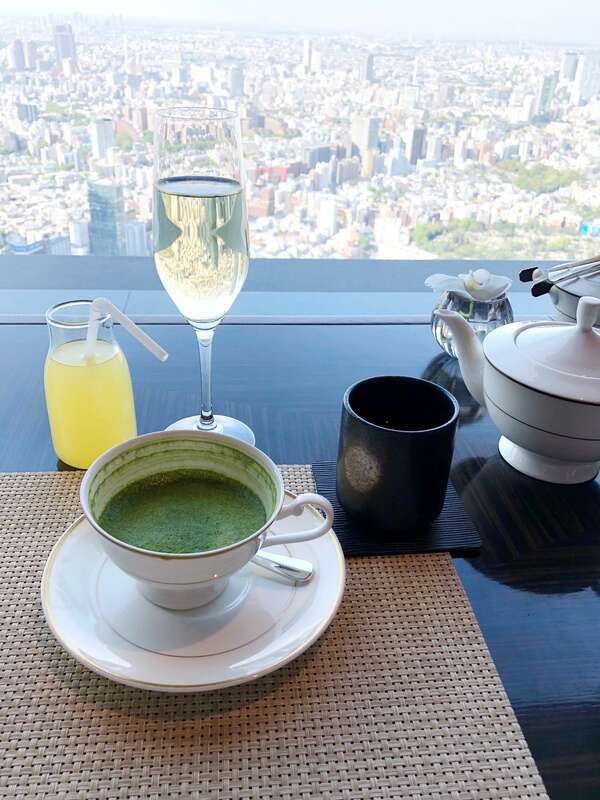 During breakfast and throughout the day, you also have access to seasonal specialty drinks made by the always smiling Sawada-san. 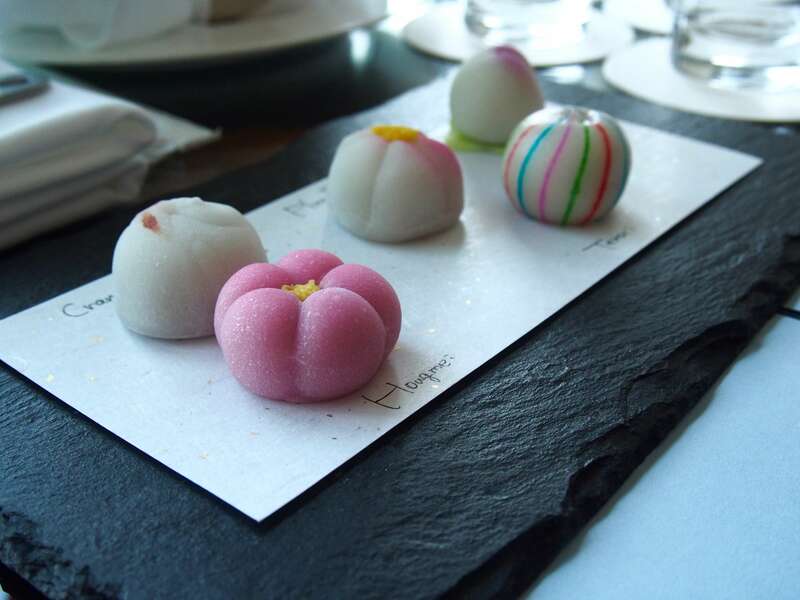 I couldn’t get enough of the delicious sakura ice-teas and sakura cappuchinos. They were so good! I can’t wait to see what she has invented the next time we return (hopefully this Autumn). 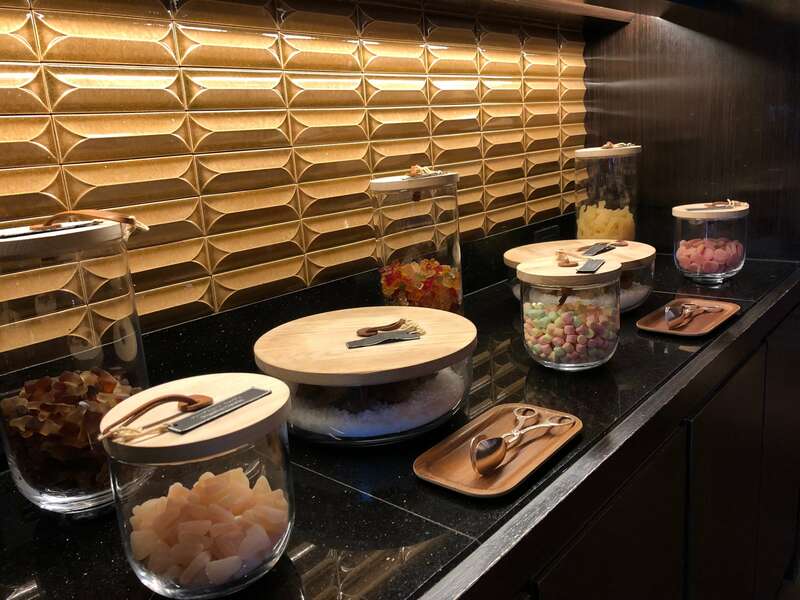 Of course the Club Lounge also offers other foods all the time in addition to soft drinks, beers and free flowing champagne, which I was extremely fond of. The Lounge has special evenings during the week, so I recommend keeping an eye out for them. On some days, there is a jazz band playing for a few hours, which is a great way to spend the evening. 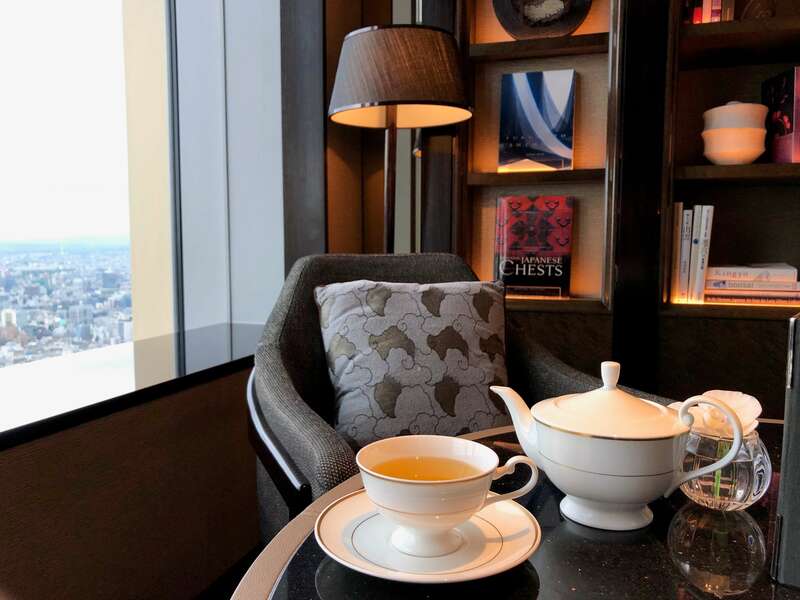 You have access to an afternoon tea every day, which would normally cost at least 50 euros in any five star hotel. And it doesn’t hurt that during Saturday, Sunday and Monday the afternoon tea includes a harpist playing in the background. Actually when arriving at the Club Lounge for an afternoon tea on the day of our arrival, we were seated in a more private area at the far end of the Lounge. 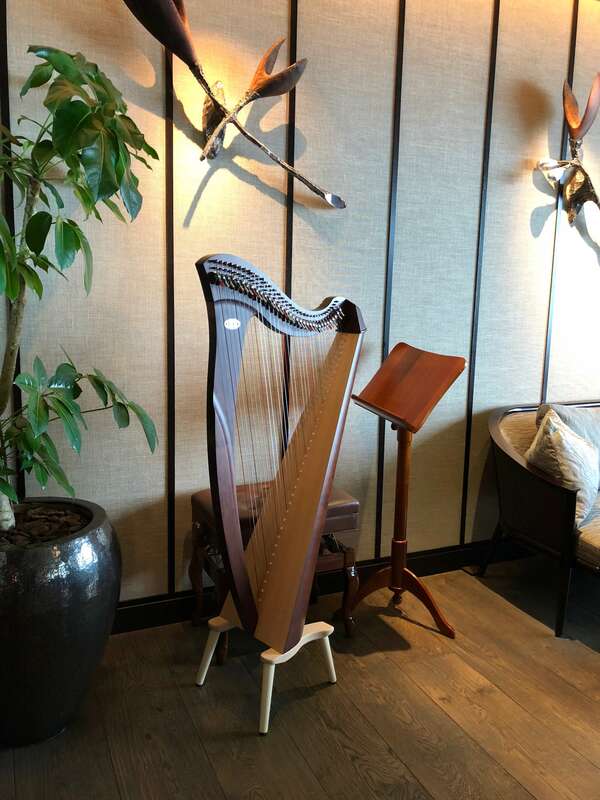 The Lounge was still empty during that time, but when we sat down at our table and got some champagne, the harpist started playing a beautiful melody. It is hard to describe how I felt at that moment, but it was so beautiful and I was extremely happy. I had been waiting to get there for such a long time and now it was finally a reality. I’m man enough to admit that my eyes got watery when I was sitting there with my wife and enjoying life to the fullest. I still do, when I think about it. 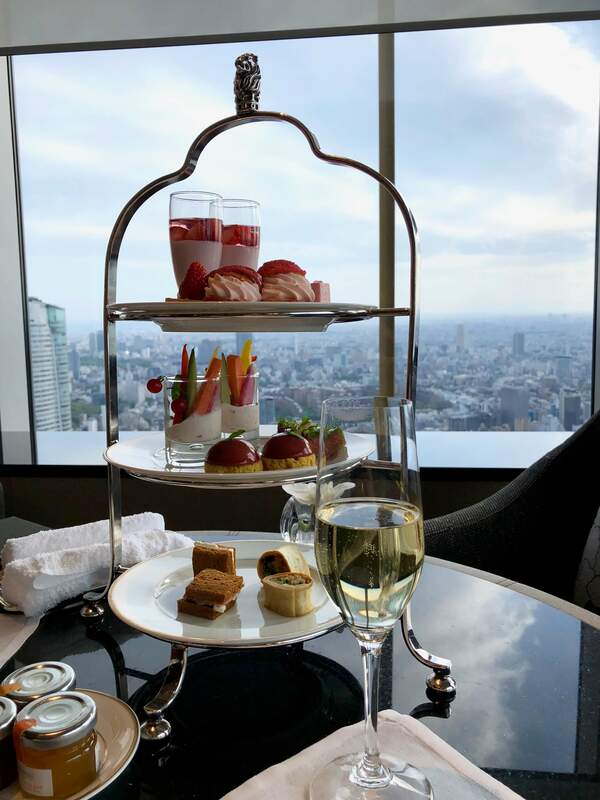 The Ritz-Carlton, Tokyo is truly an ultra-luxury hotel that provided one of the most unforgettable stays for us. 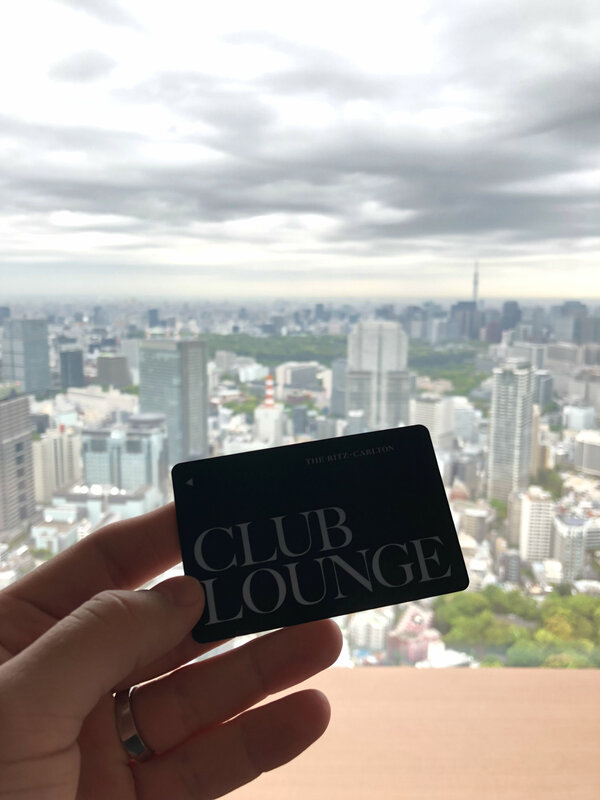 I’m sure even the “normal level” of the hotel is wonderful, but I seriously recommend choosing the Club Level, if possible, because it just takes the whole experience to a whole new level. 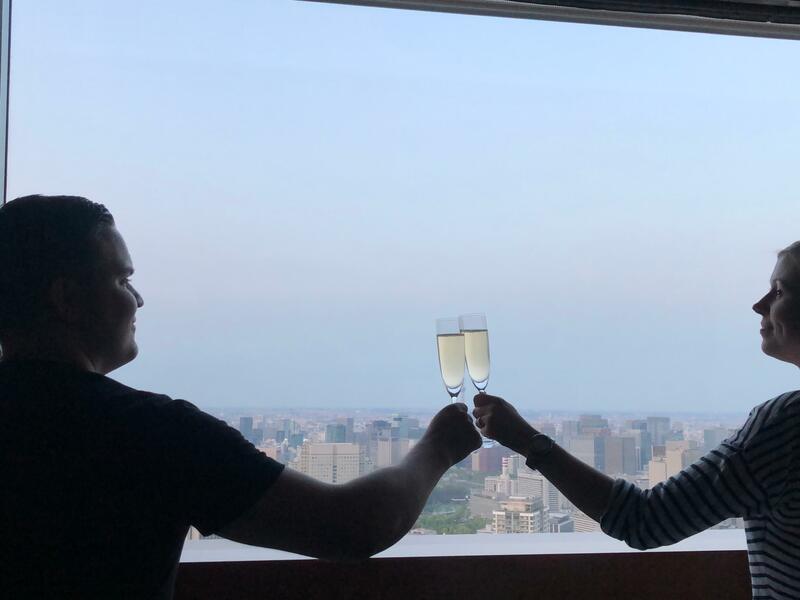 It is a rare occurrence that I have so few critical things to say about a hotel, but the only “negatives” we experienced were the uneven service on the ground floor and also at times the free flowing champagne at the lounge could have been a little colder. 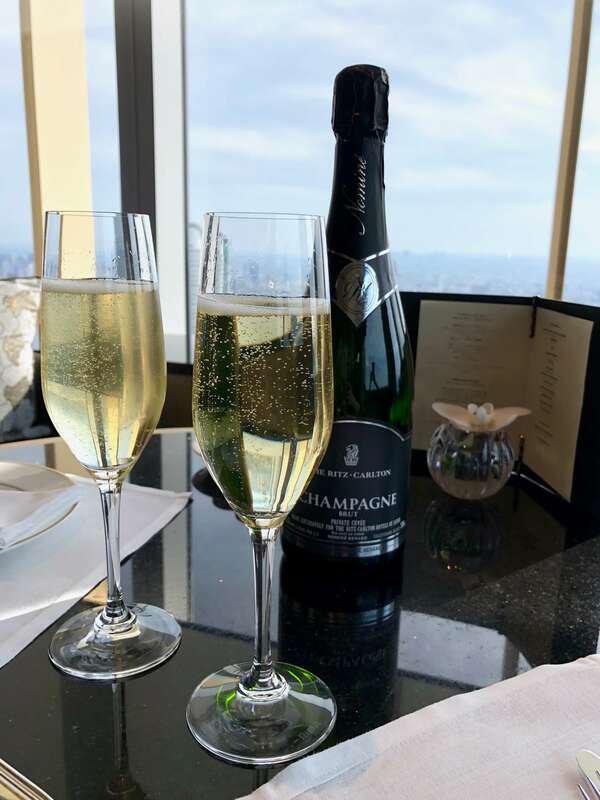 If I have to struggle to come up with some constructive criticism and this is the best I can manage (champagne wasn’t cold enough… first world problems, anyone? ), it must mean the hotel is amazing. If you stay here, you won’t regret it. 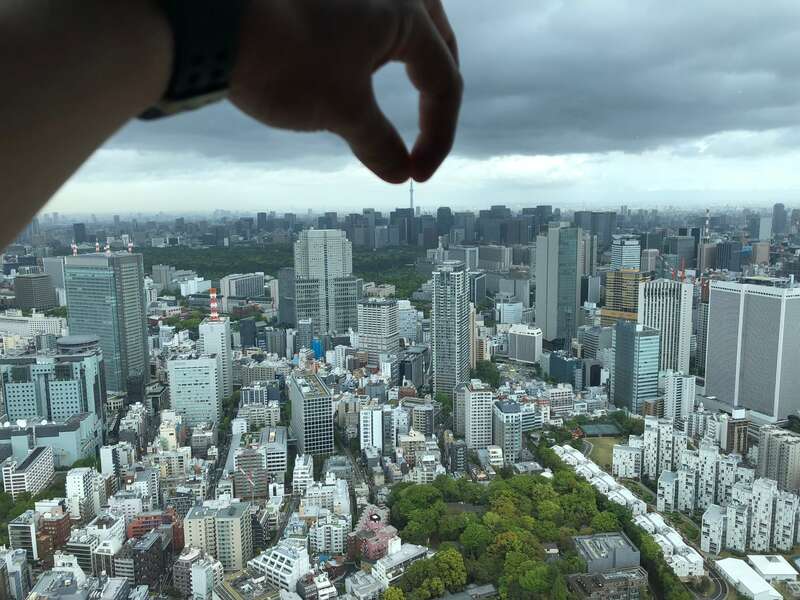 In addition to the fact that this is the tallest hotel in Tokyo and one of the most luxurious in the world, The Ritz-Carlton, Tokyo also has the most imporant factor of them all, a heart. The staff working at this establishment is dedicated to making sure that each and every customer leaves this hotel with wonderful memories and experiences that will stay with them for a long time. That is what makes a Ritz-Carlton more than a hotel. 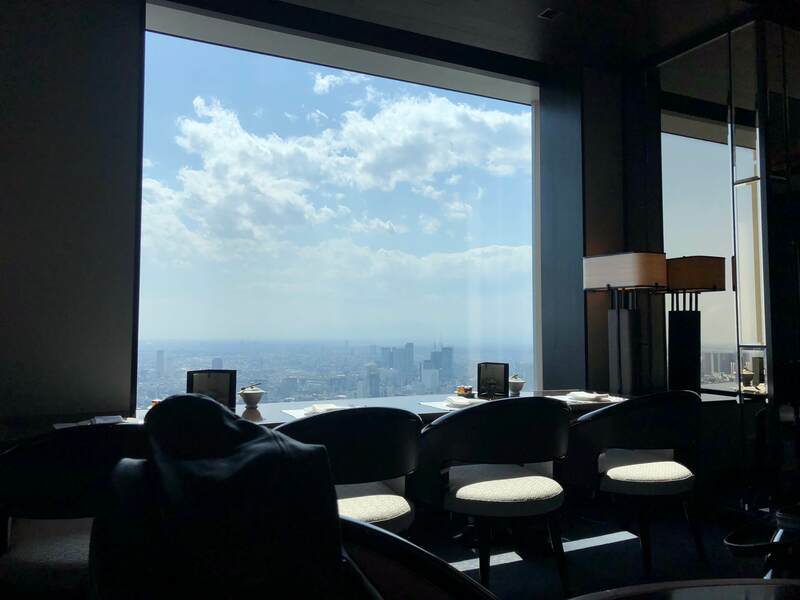 Because this blog post is huge as it is, I will write about the general areas and restaurants of The Ritz-Carlton, Tokyo in another blog post later on, so keep an eye out for that (I’ll also be writing about kobe beef and Rolls-Royces). 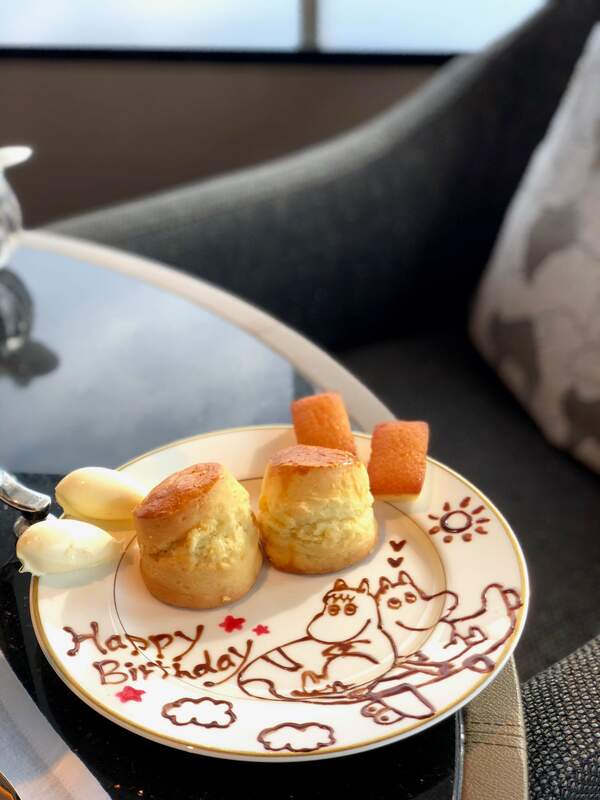 I especially want to thank Rie-san for making our dream possible and giving us the possibility to spend my wife’s birthday in such a spectacular place. Arigatou gozaimasu! 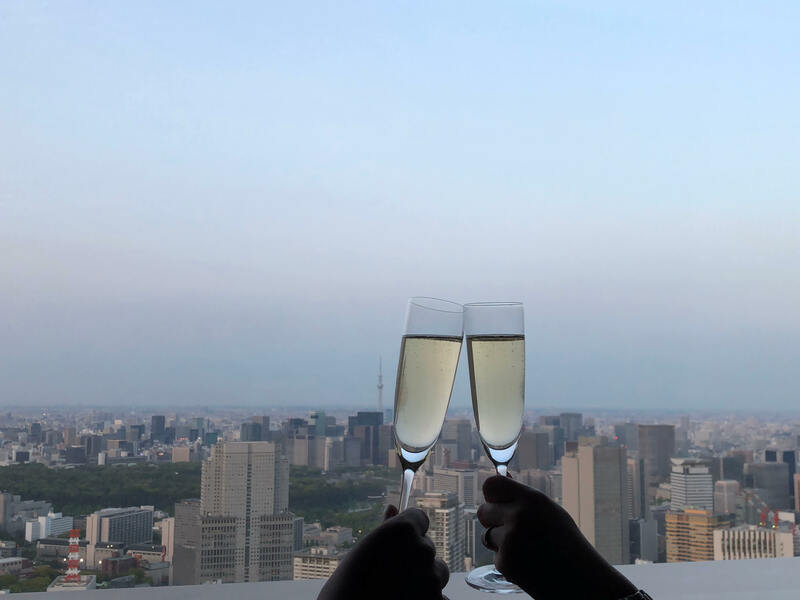 Also a huge thank you to all of the Ladies and Gentlemen of The Ritz-Carlton, Tokyo for making our stay so memorable. We will surely be back again, when we have the chance to return to our favourite city on Earth! Most of the photos in this blog post were taken by my lovely wife, who you can follow on Instagram here @blackpluswhiteisgrey.